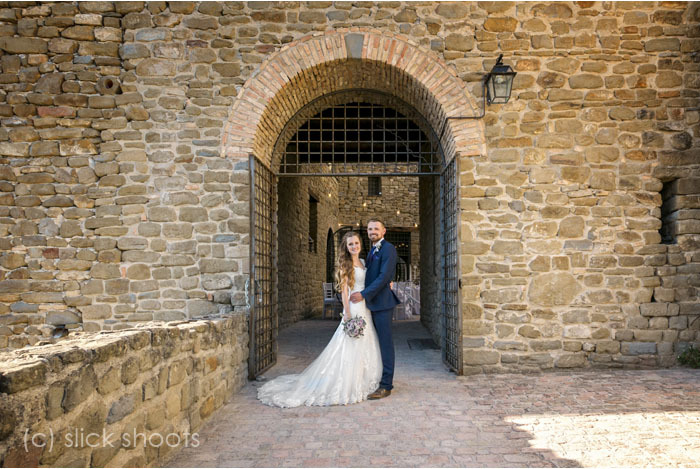 Emily & Alex & an Italian castle! 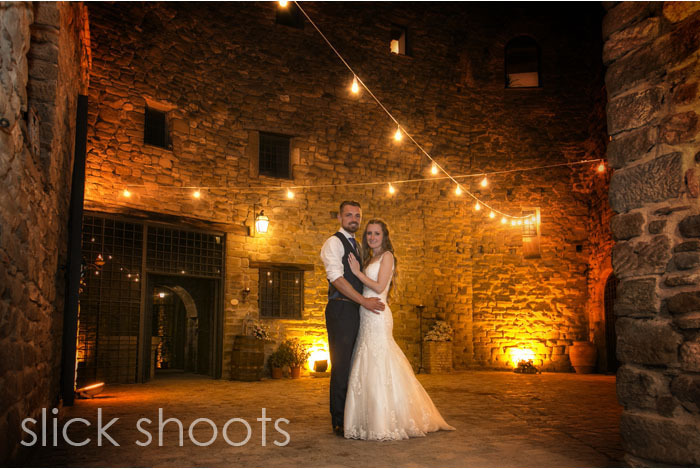 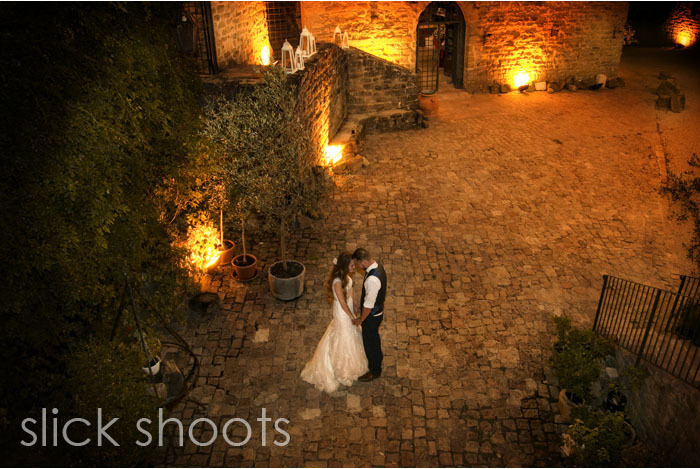 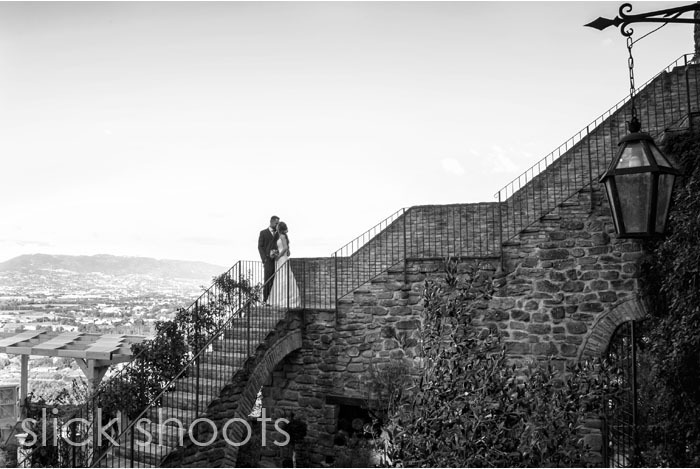 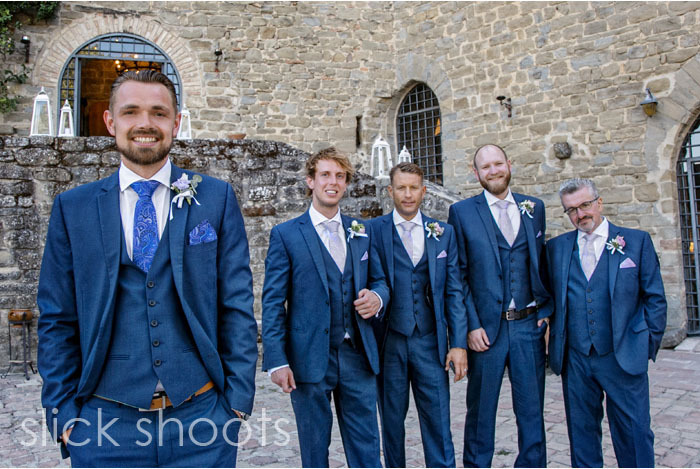 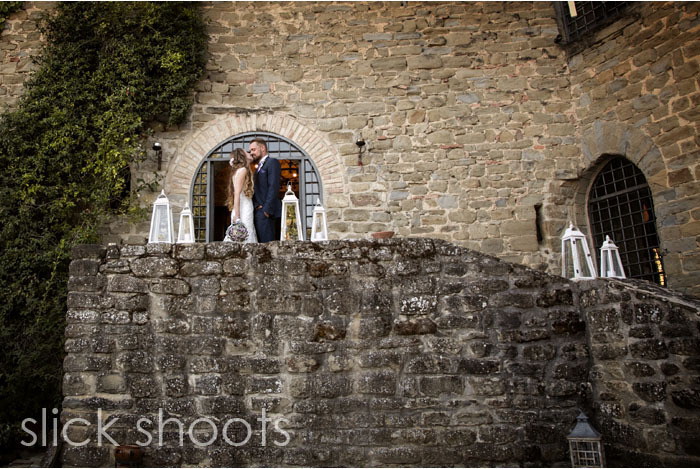 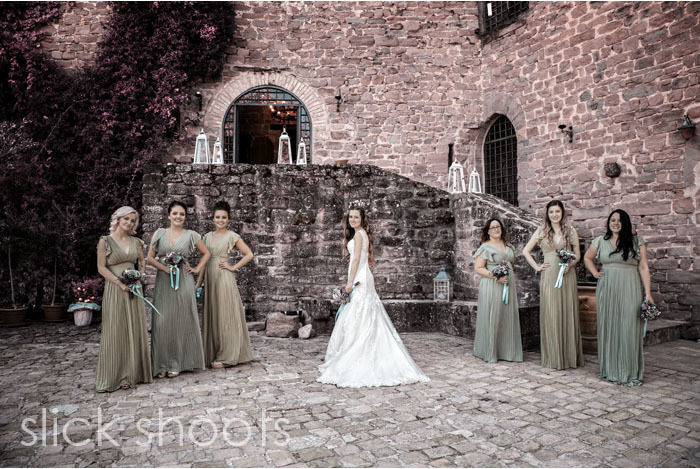 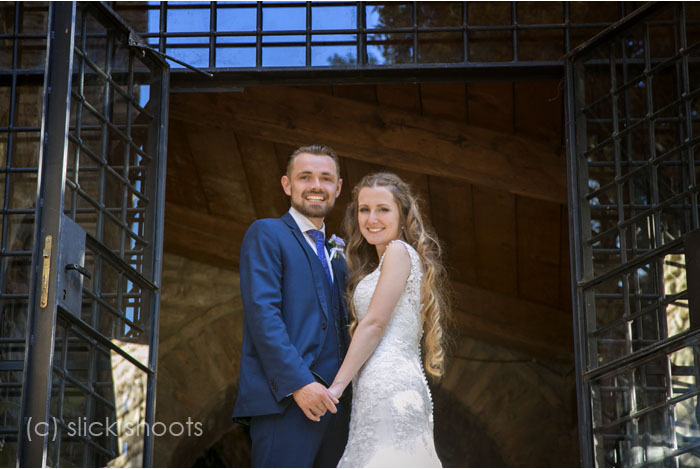 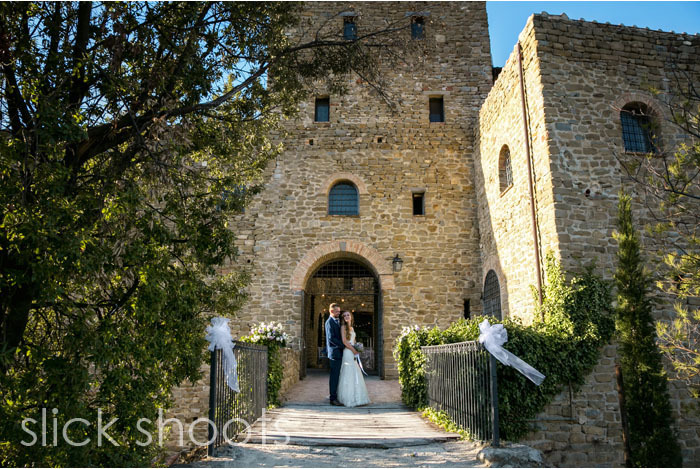 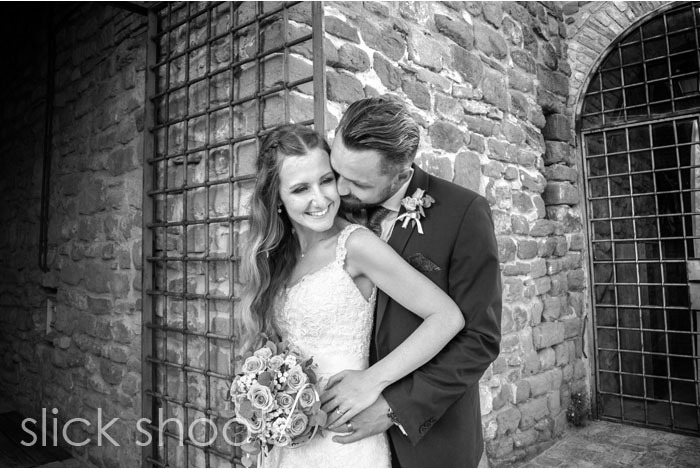 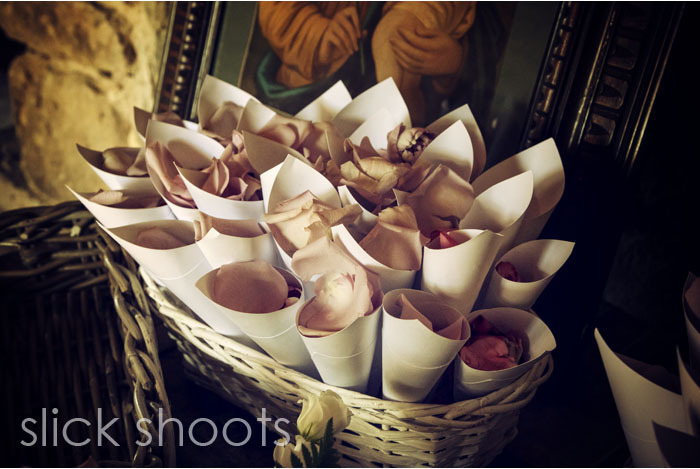 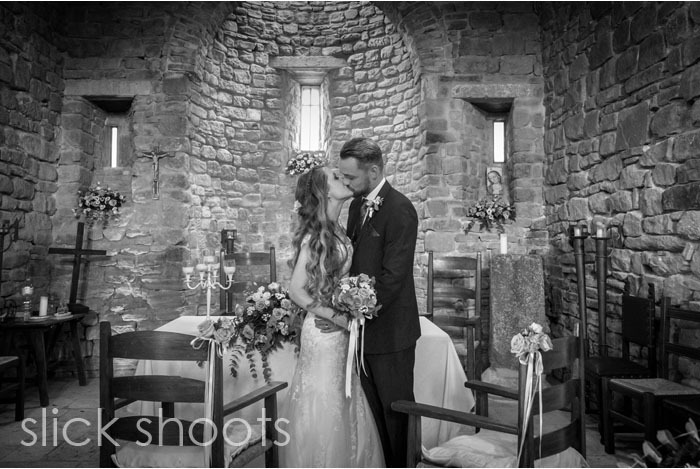 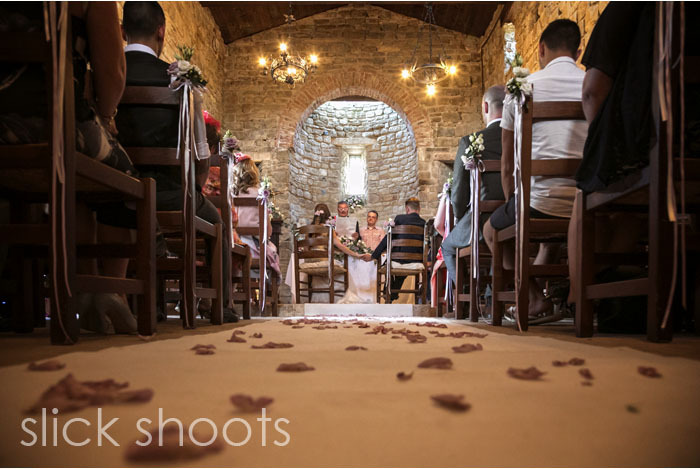 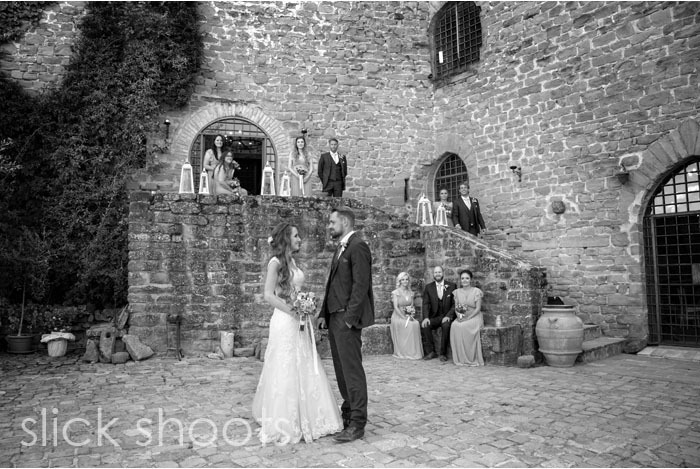 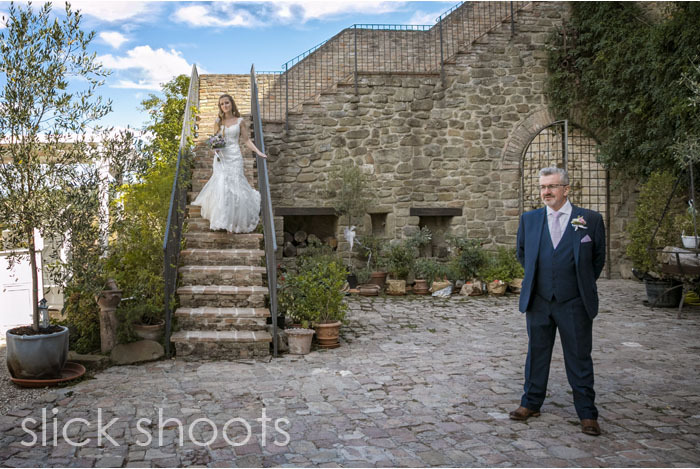 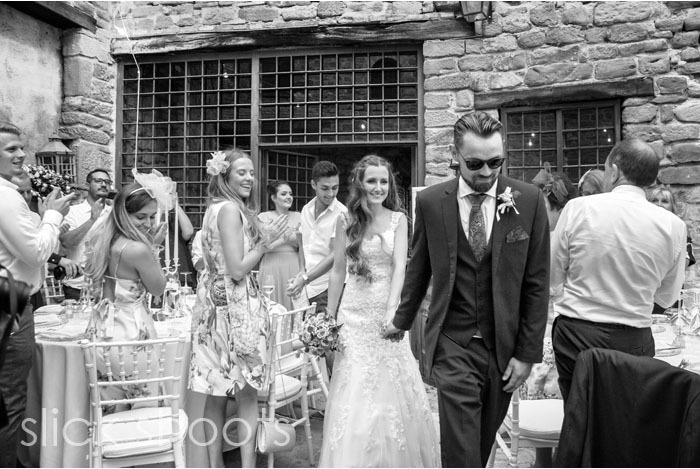 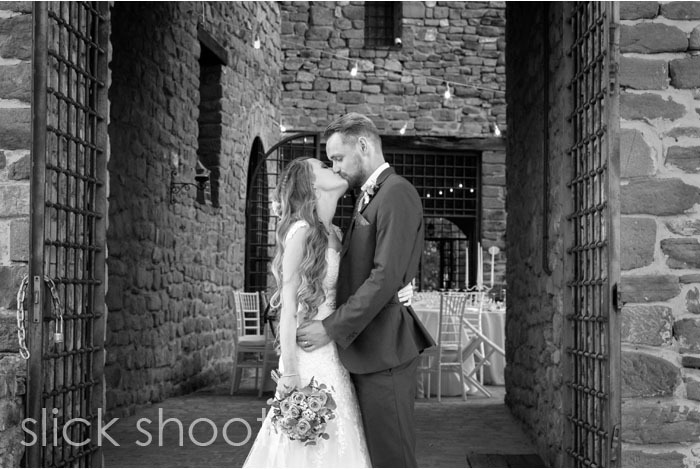 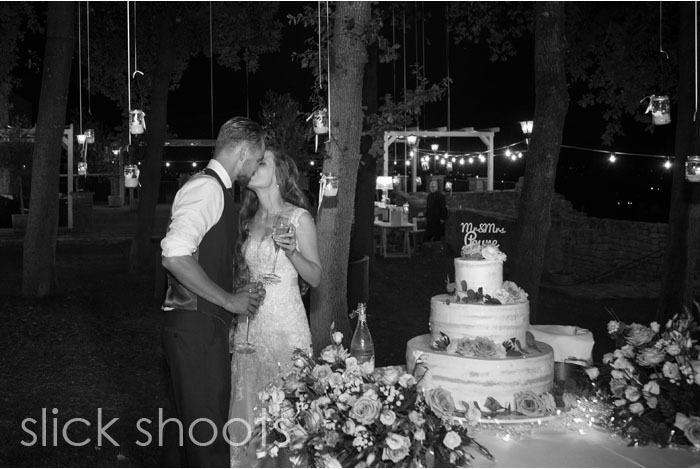 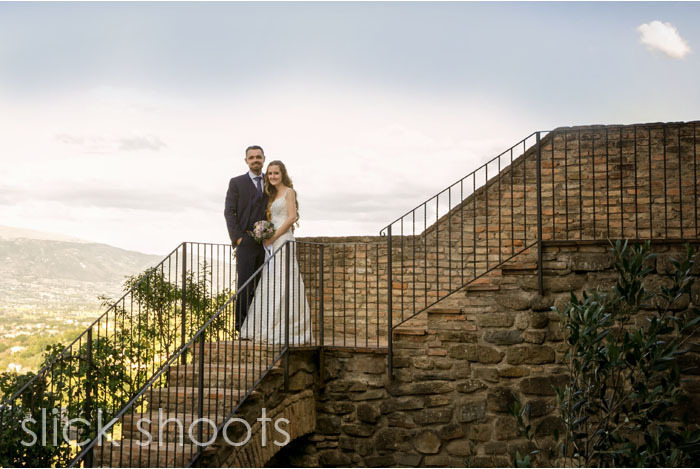 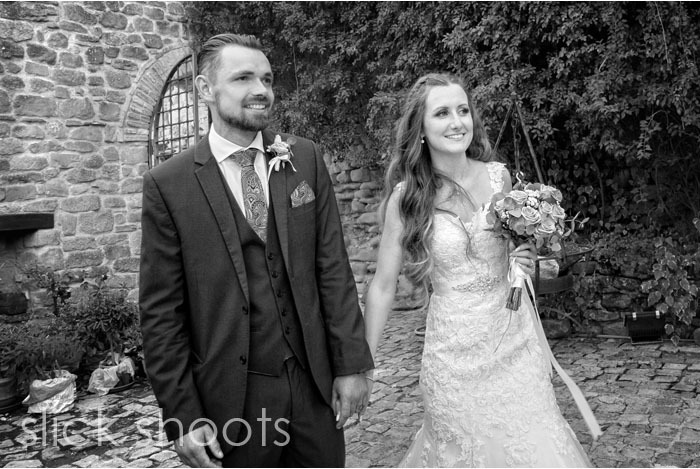 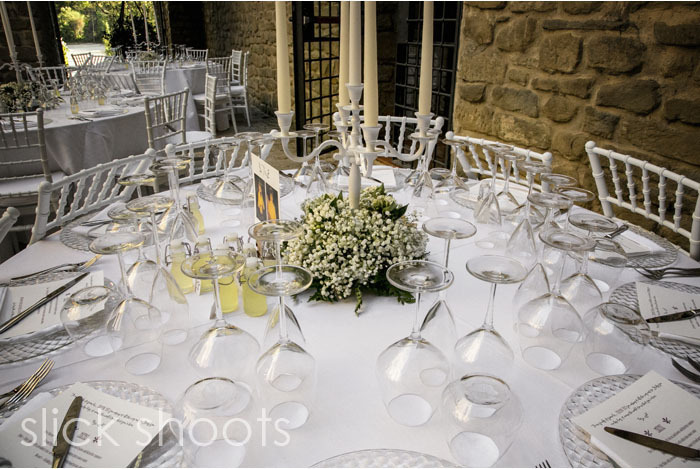 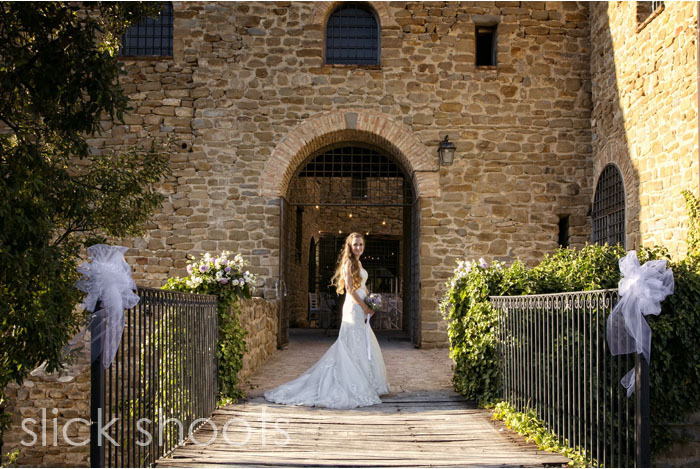 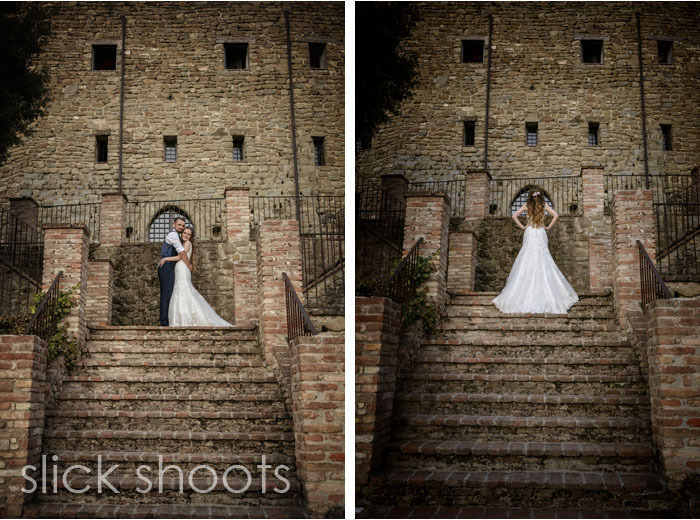 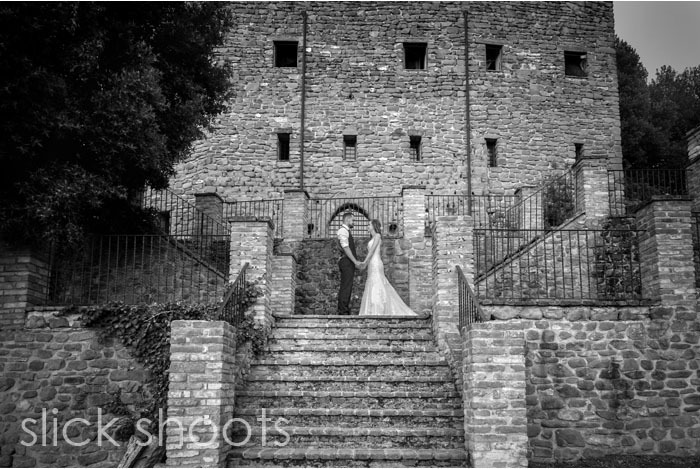 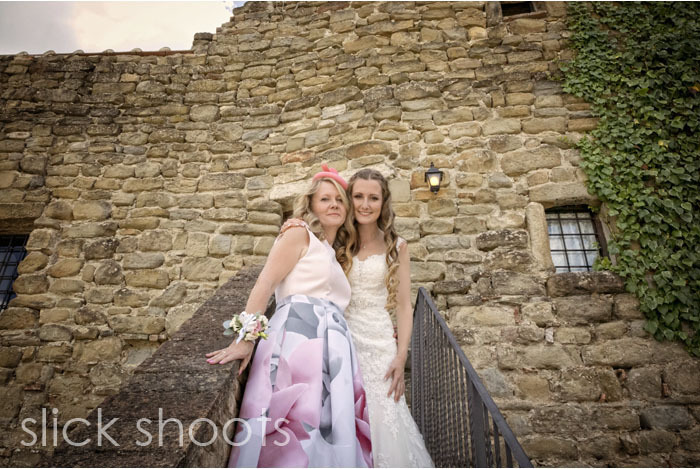 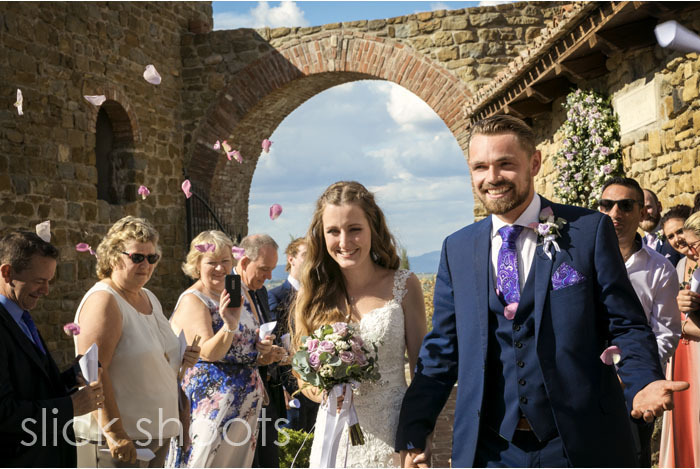 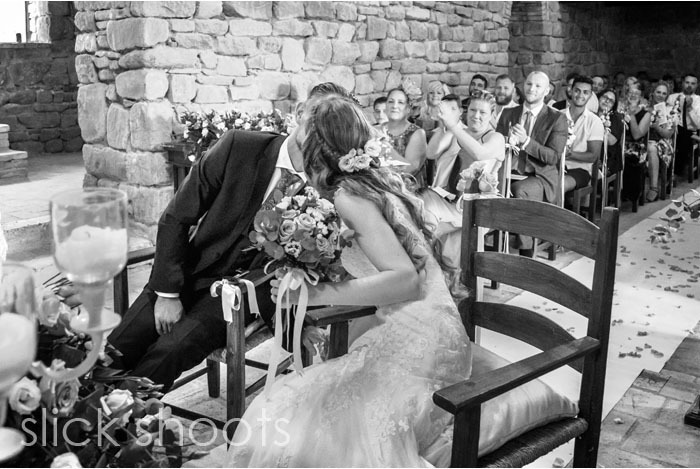 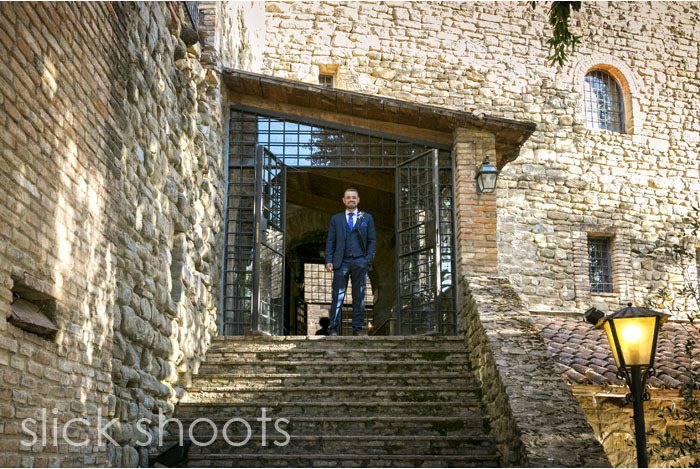 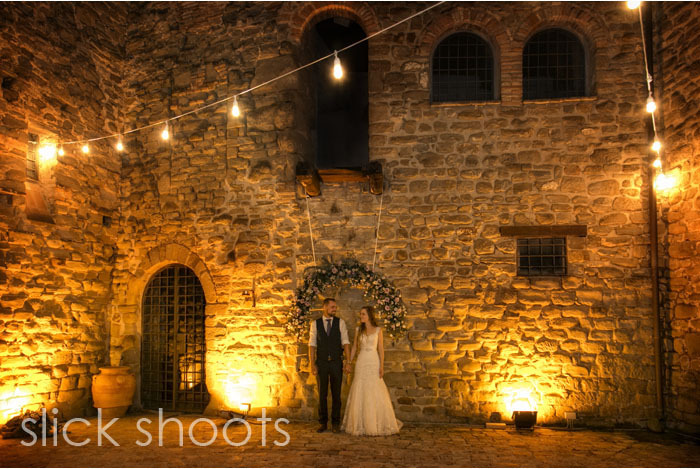 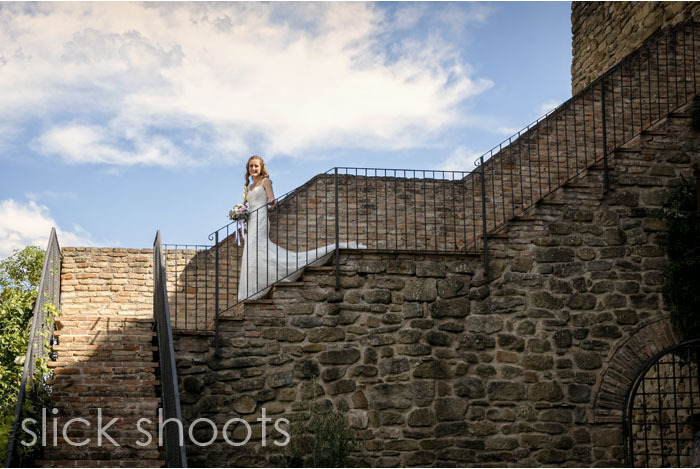 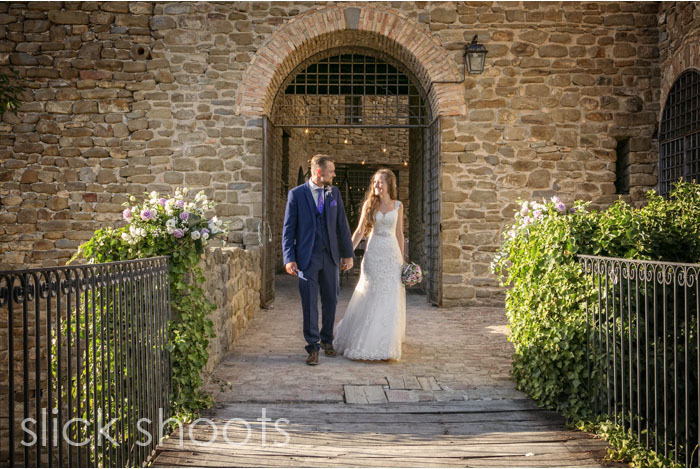 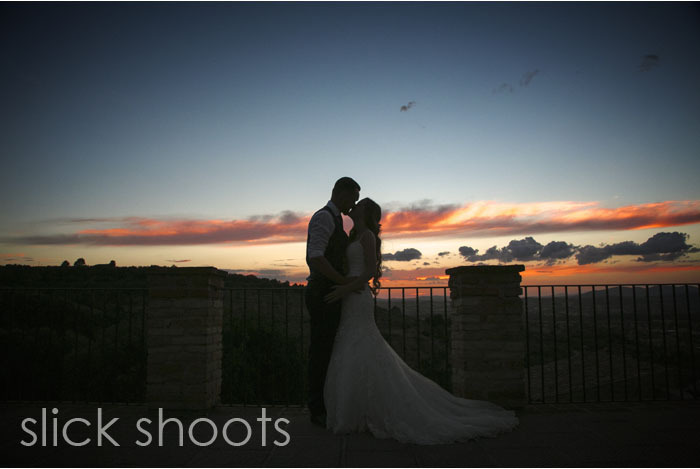 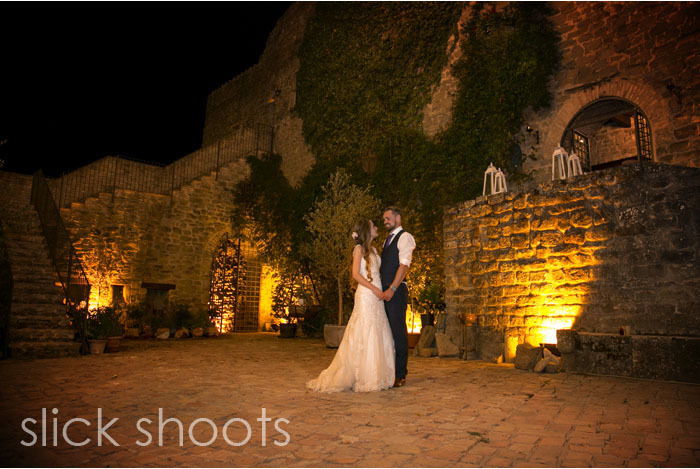 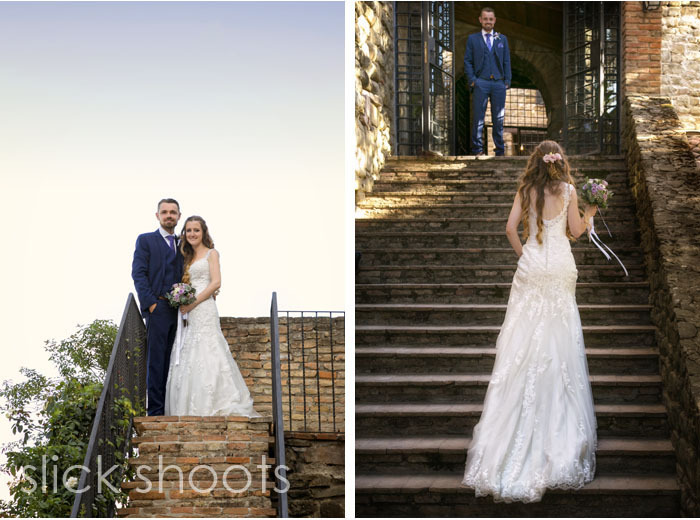 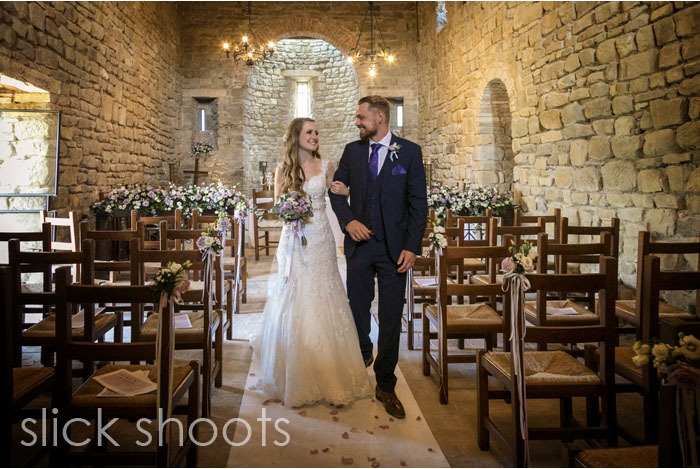 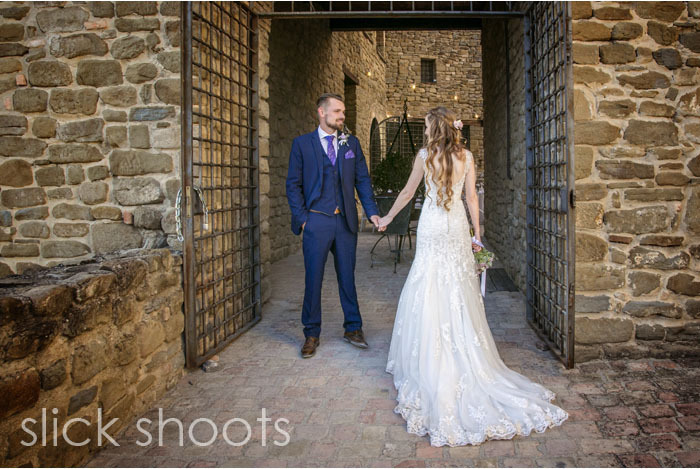 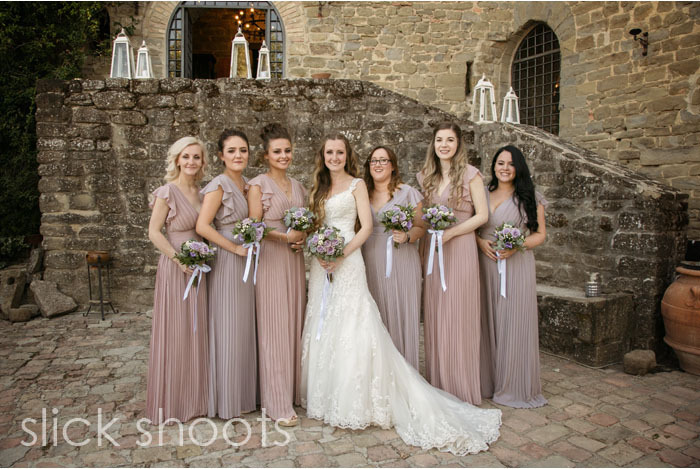 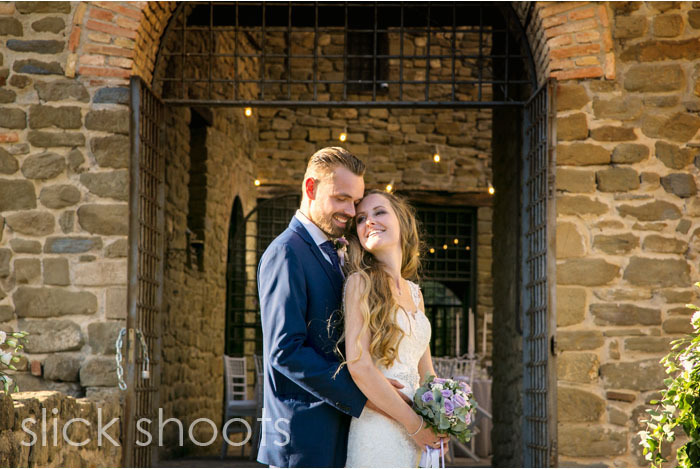 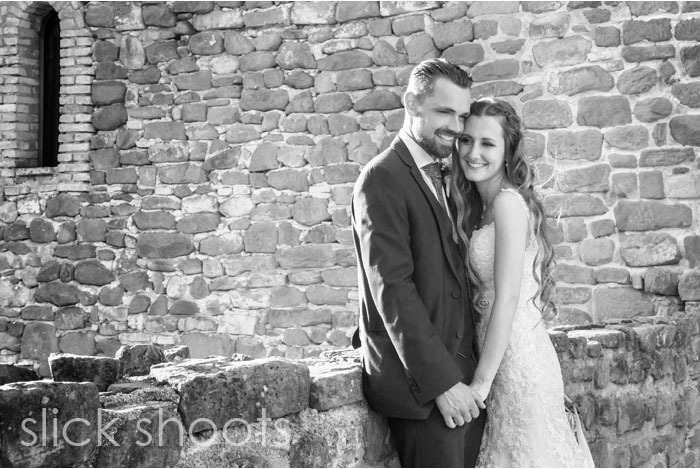 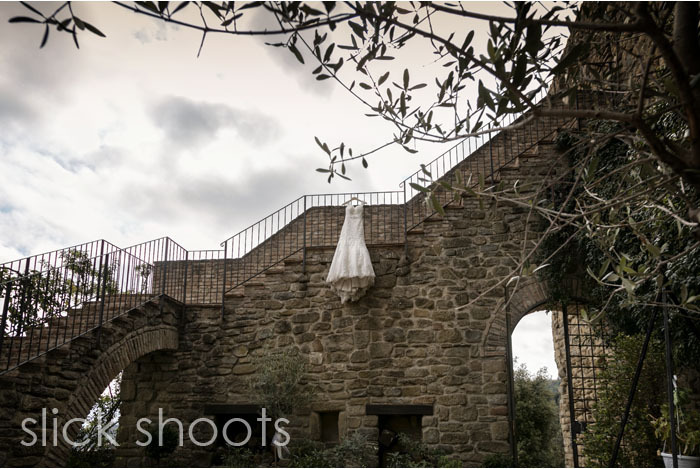 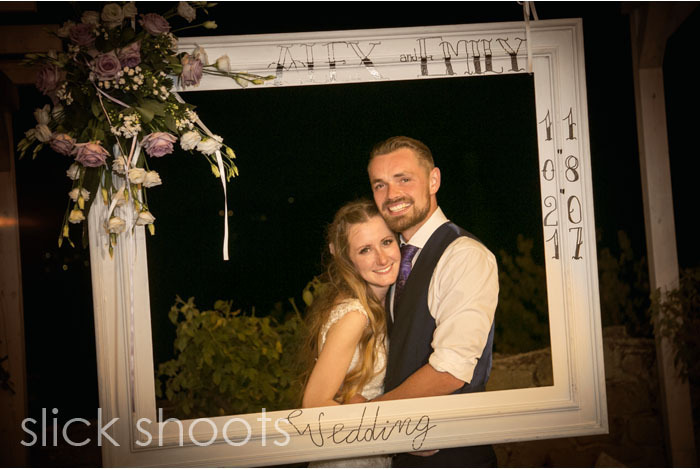 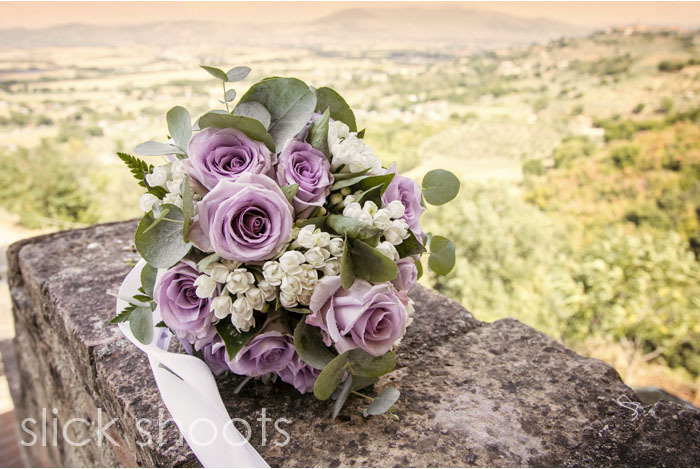 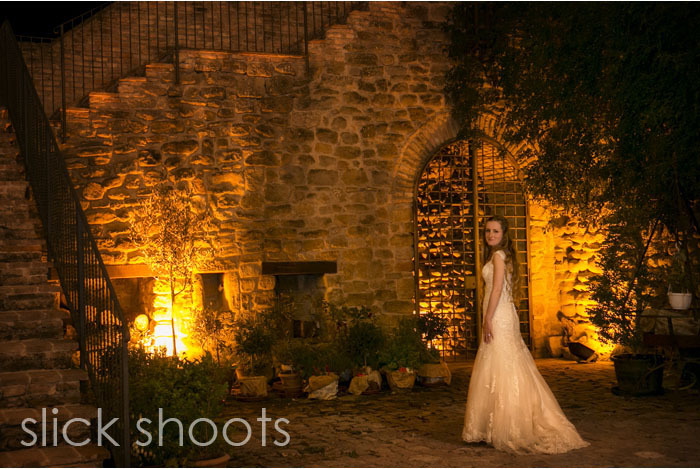 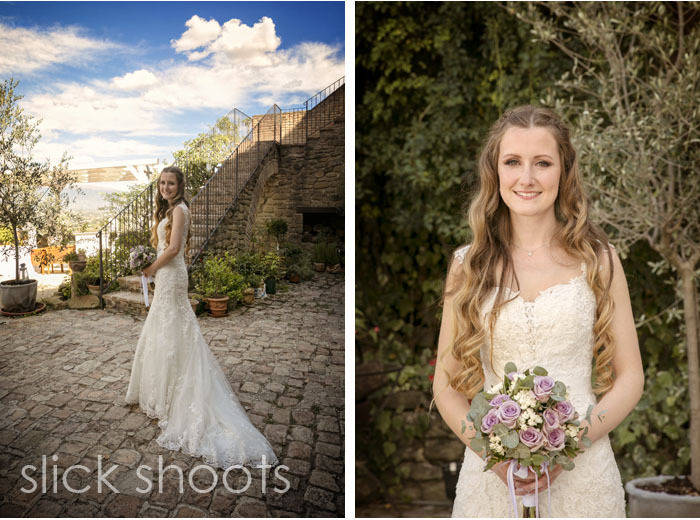 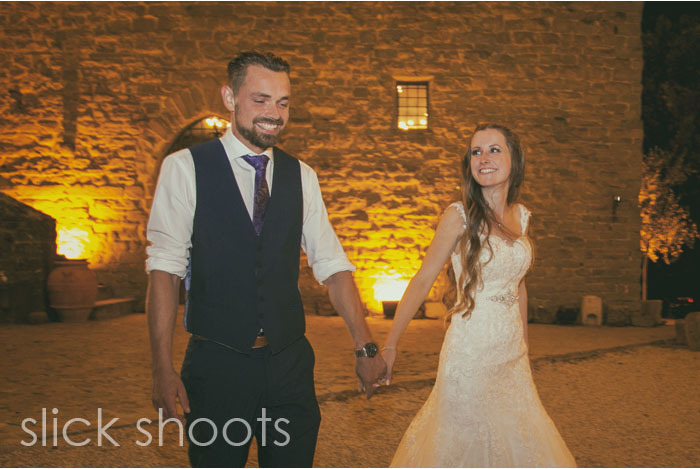 Emily and Alex were married at the beginning of August in what has to be one of the most romantic settings, an Italian castle! 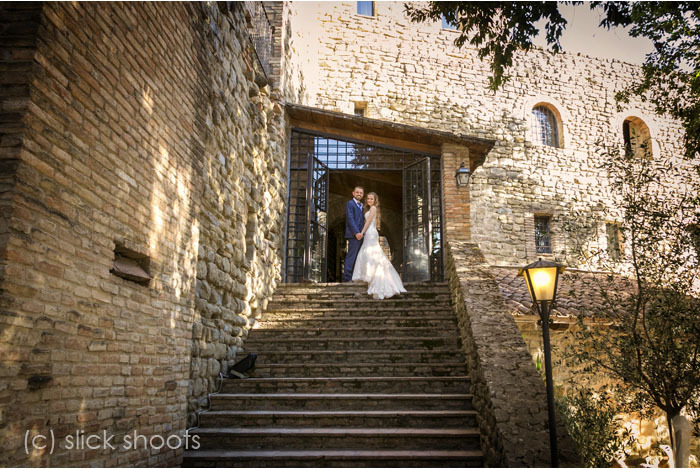 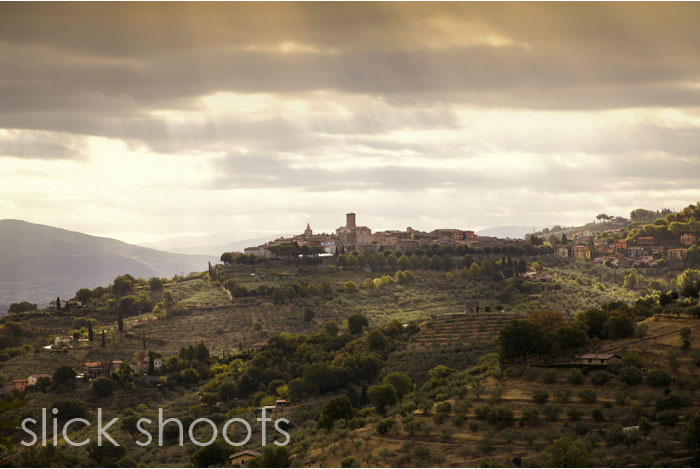 The Castello di Rosciano is family-owned and is located just outside Perugia in the heart of Umbria. 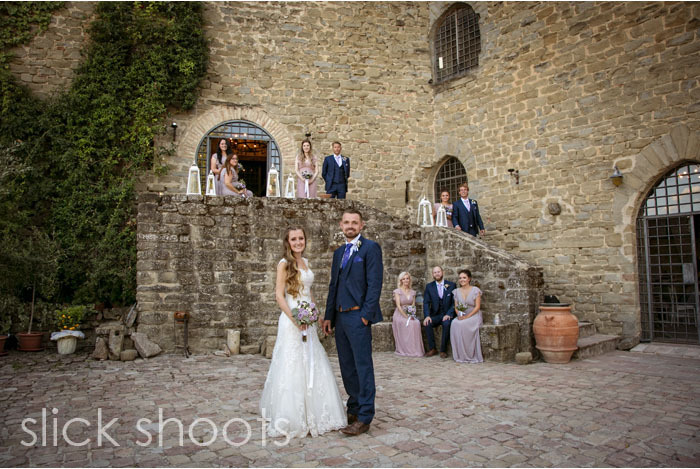 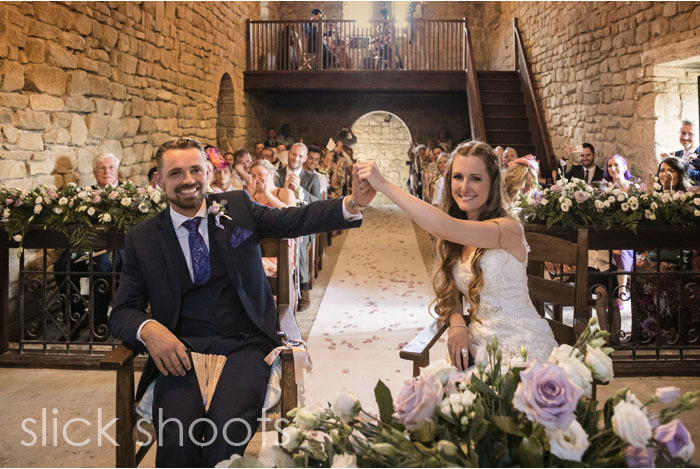 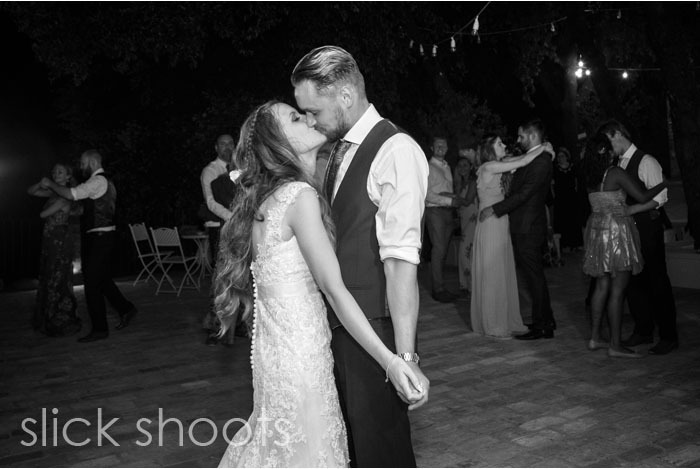 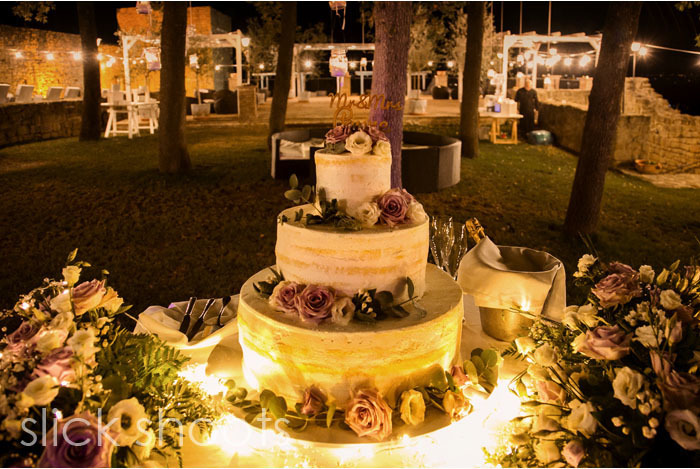 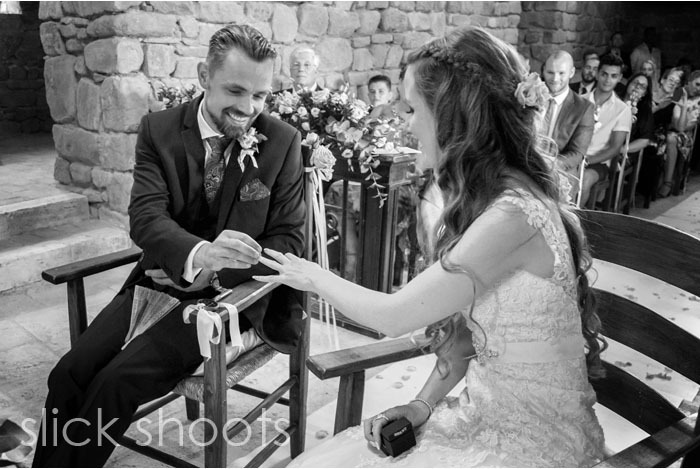 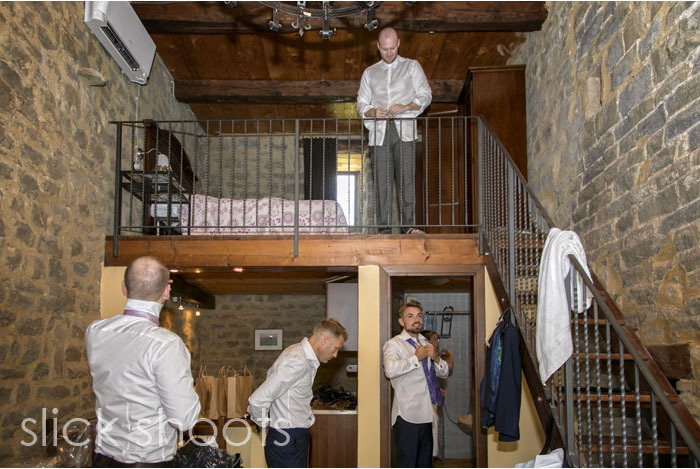 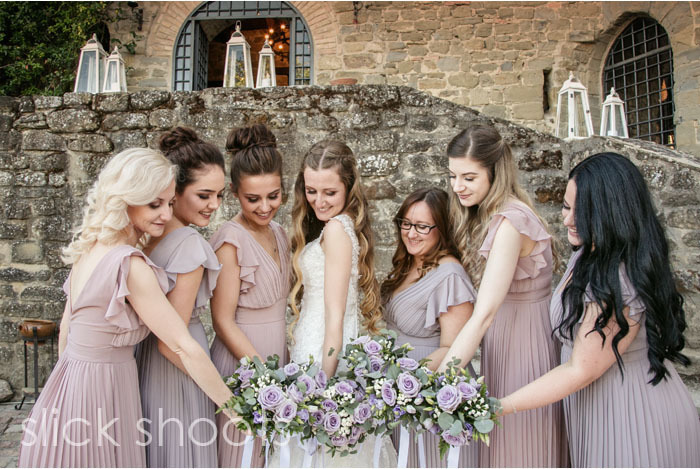 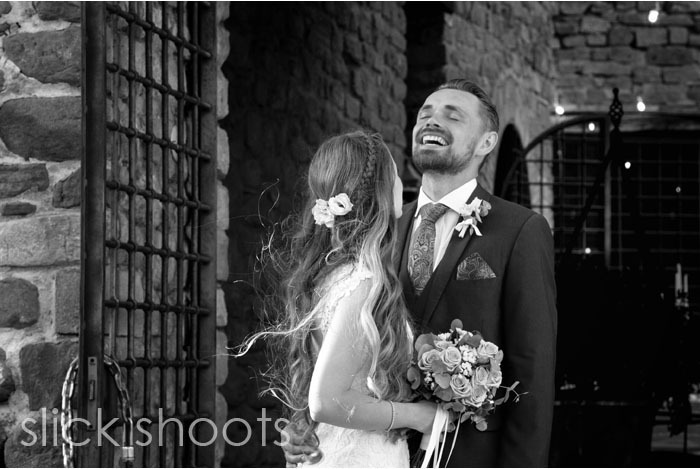 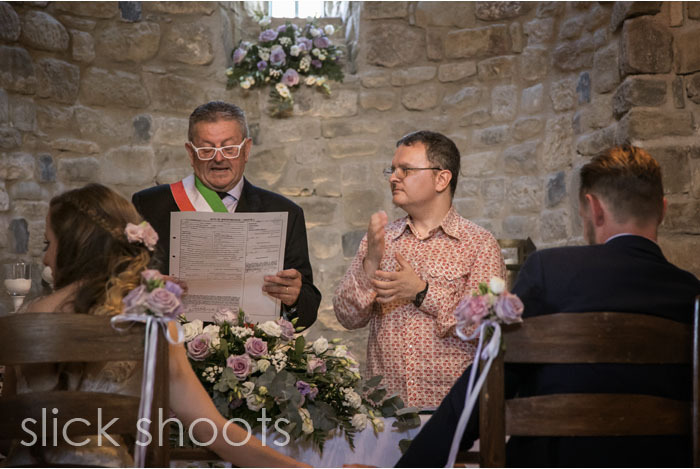 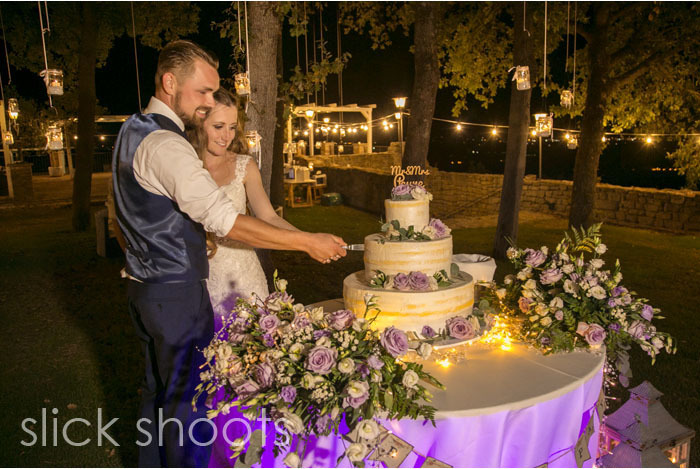 Emily had found the castle on the internet and thought it was just perfect for their wedding and so they and 70 guests made the journey to Italy. 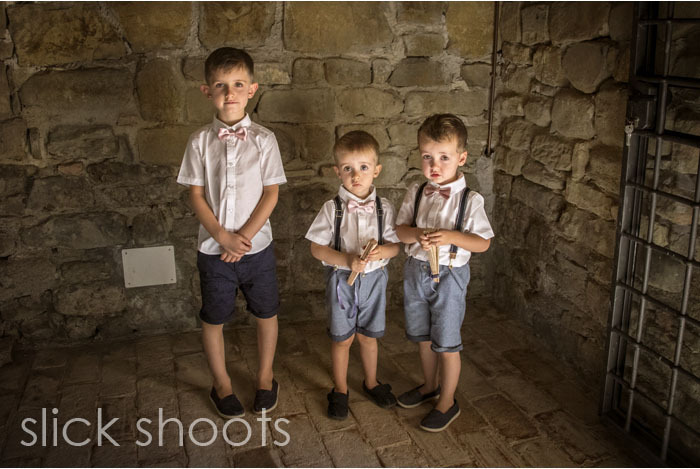 We went over with them and had a few days to have a good look around the castle and also to acclimatise to the heat! 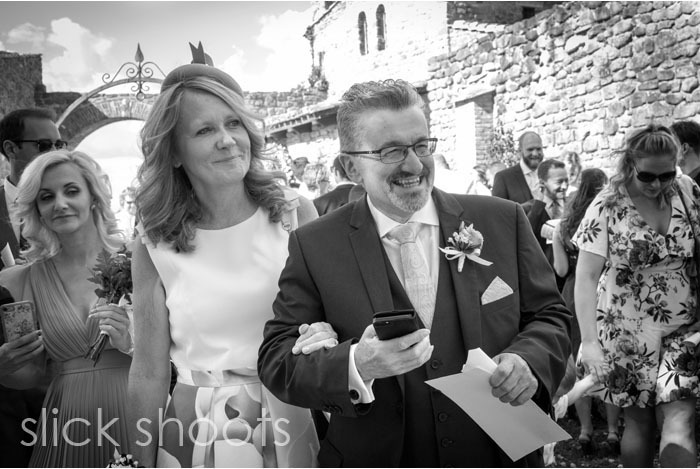 On the day we had arrived it was 40 degrees and, coming from a cold Melbourne via a not much warmer England, it was a bit of a shock! 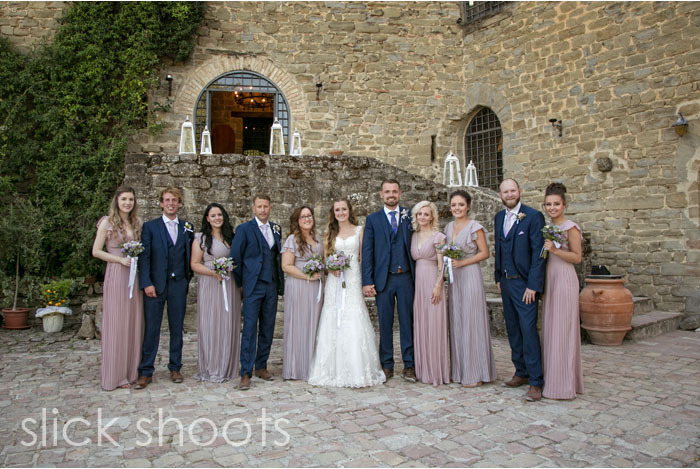 All the guests had arrived by the Thursday and to kick off the celebrations Emily’s parents hosted a pizza night at the castle so everyone could get to know each other. 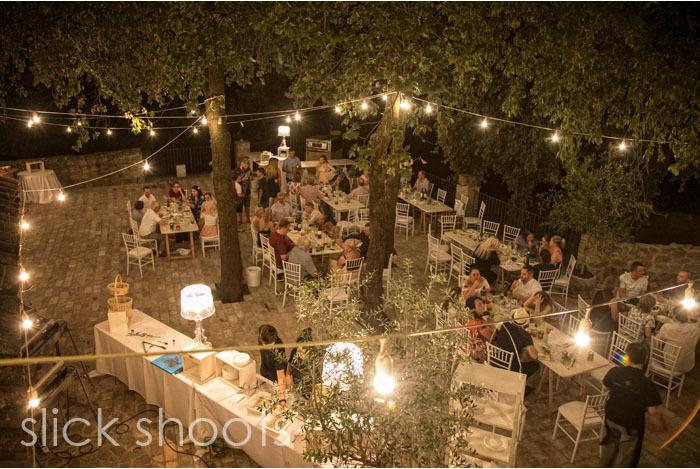 It was an amazing evening with beautiful pizzas, all freshly cooked and complete with dough throwing by the chef! 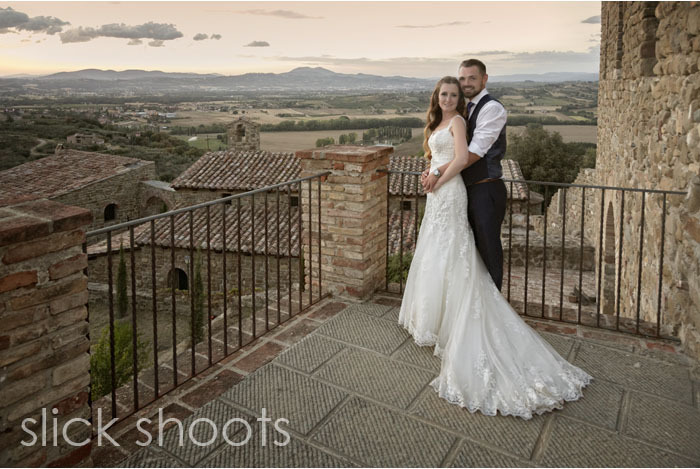 Fortunately it had cooled down to 30 degrees and felt more comfortable, you don’t often hear us say that! 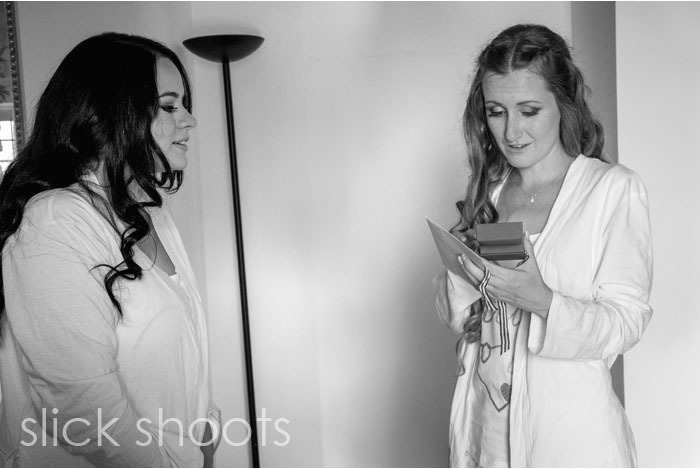 Emily had an early morning trip into the city to have her hair curled whilst the guests staying at the castle enjoyed the pool! 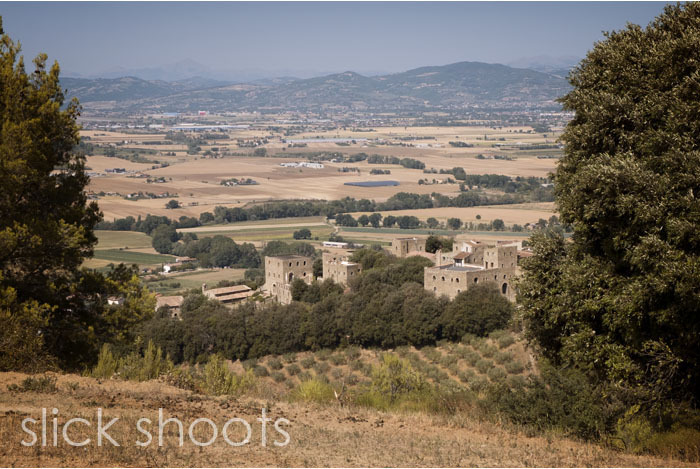 It was a lovely calm morning so Steve took advantage of it to get some drone aerial footage for the video. 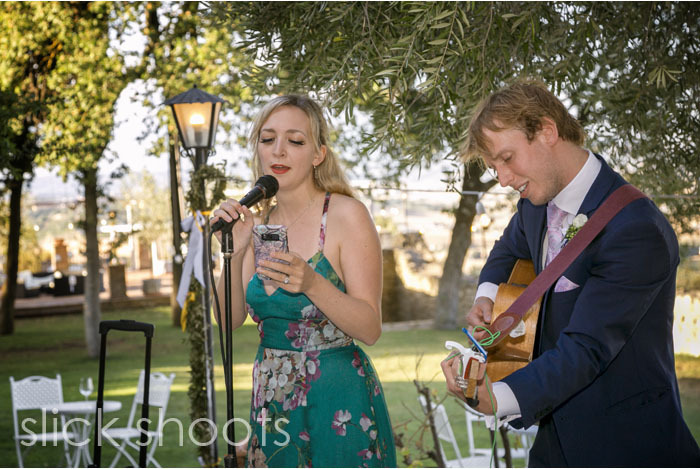 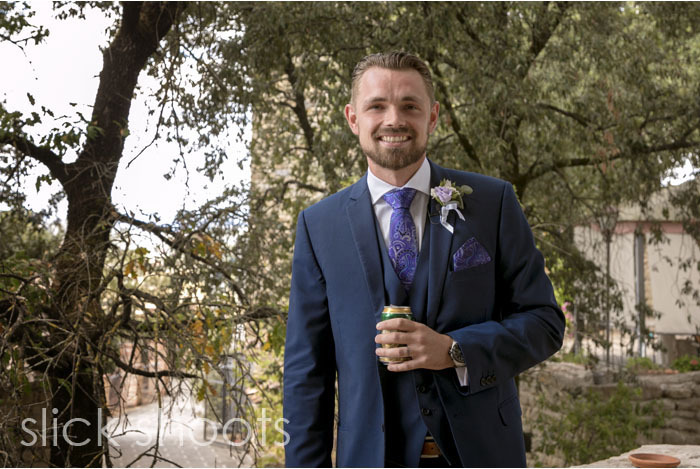 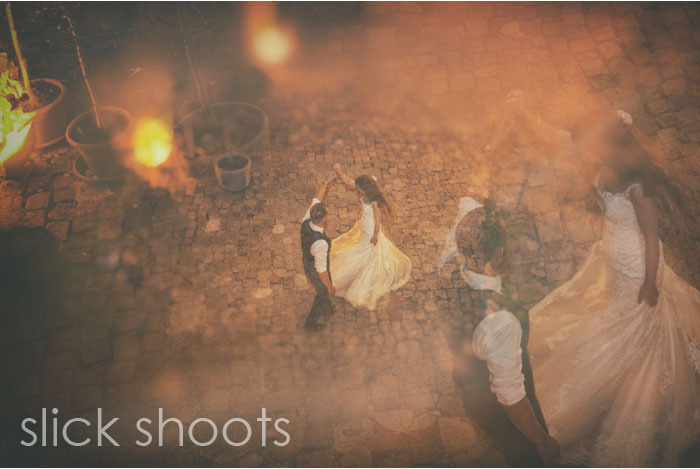 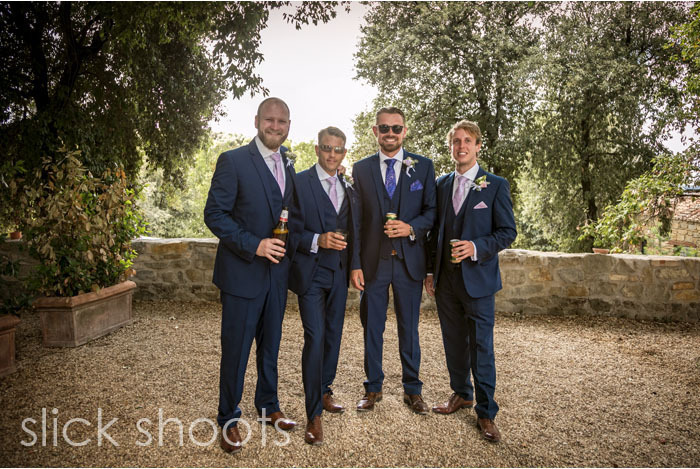 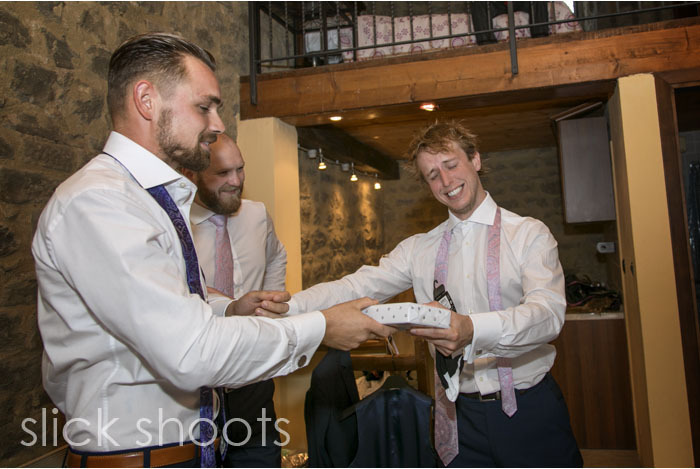 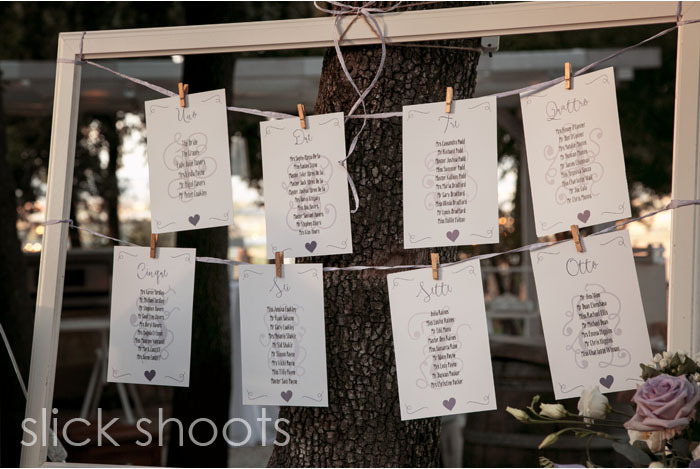 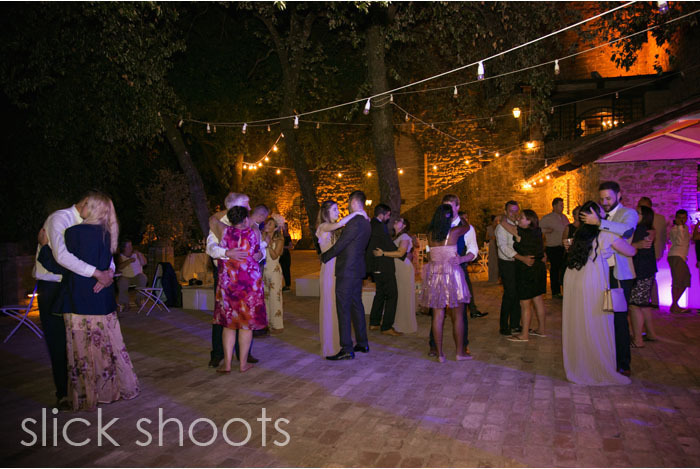 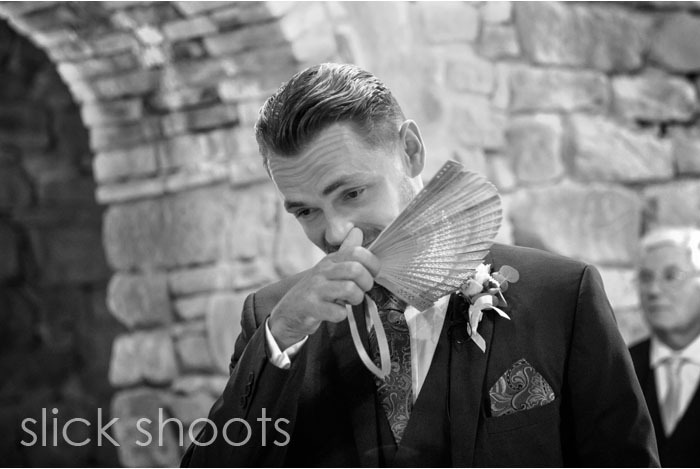 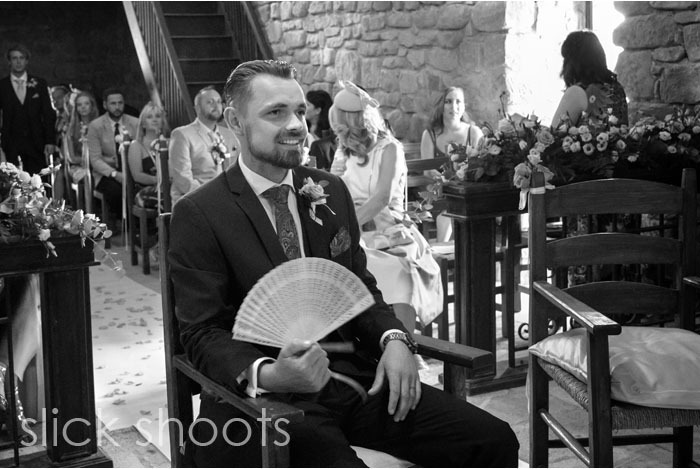 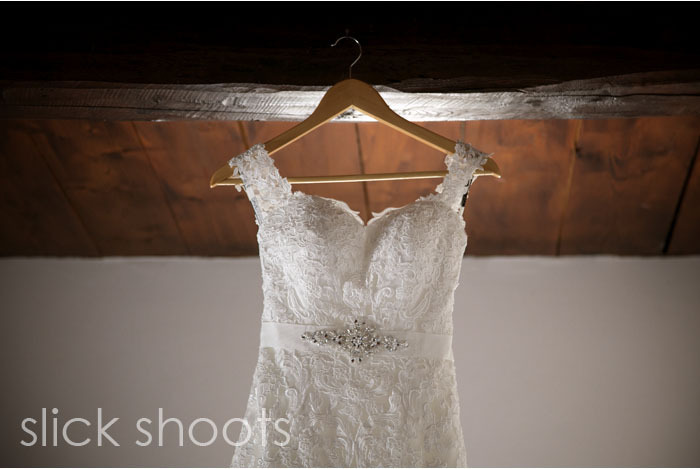 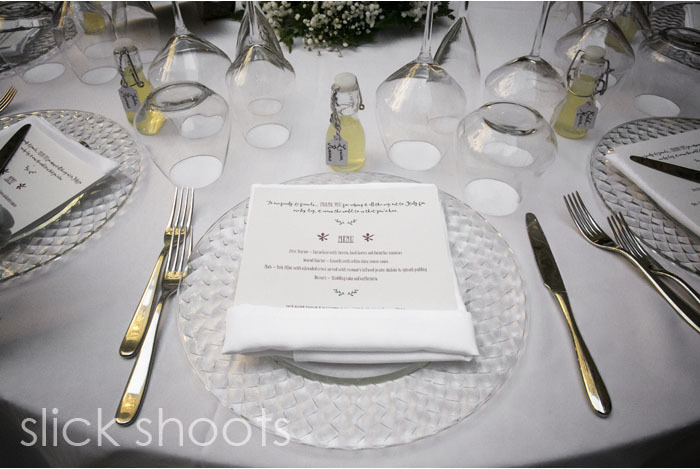 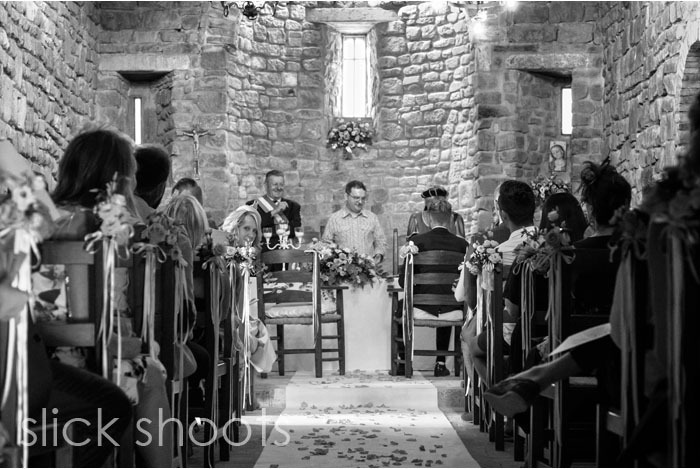 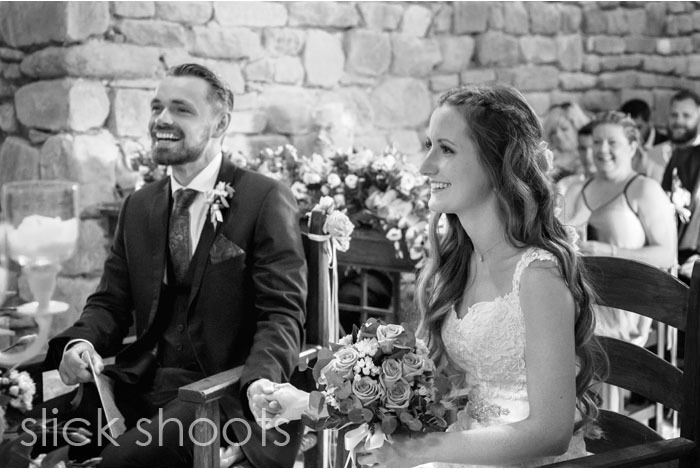 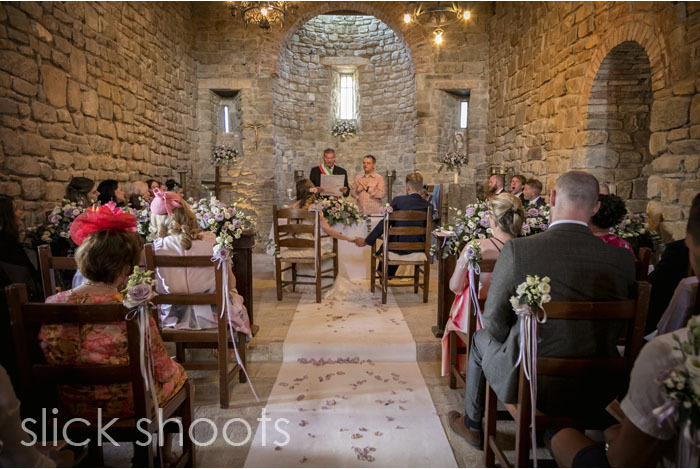 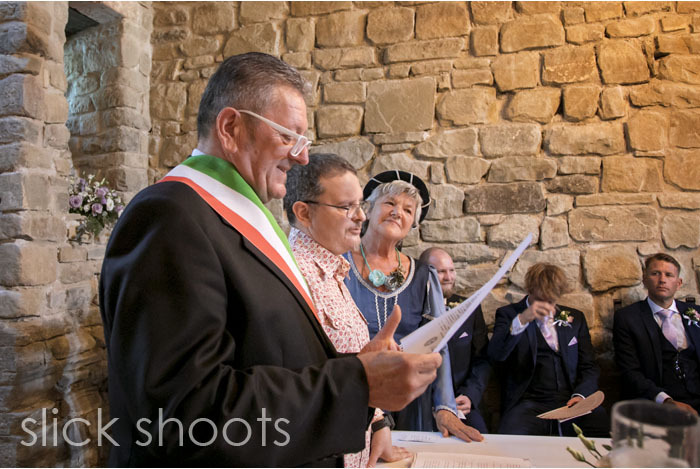 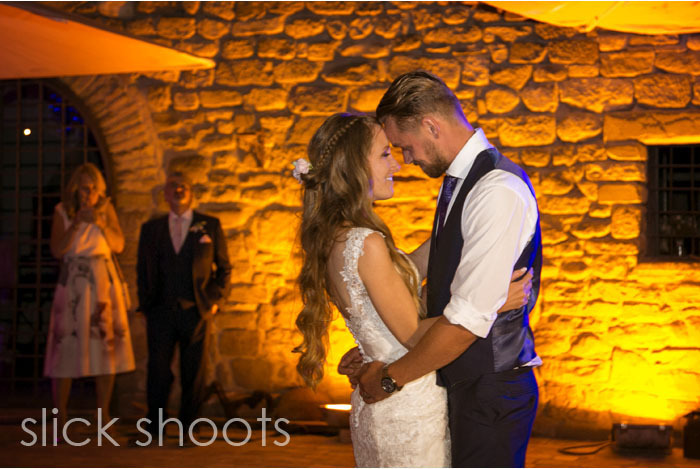 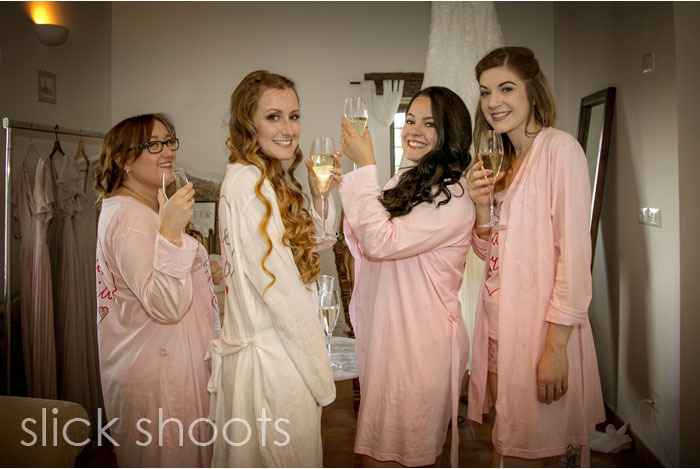 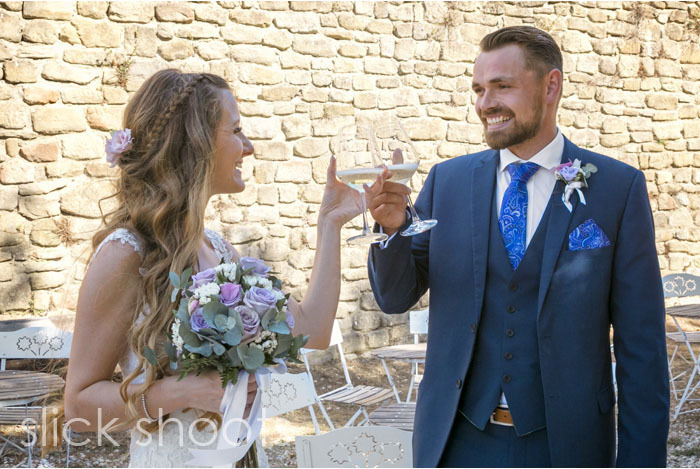 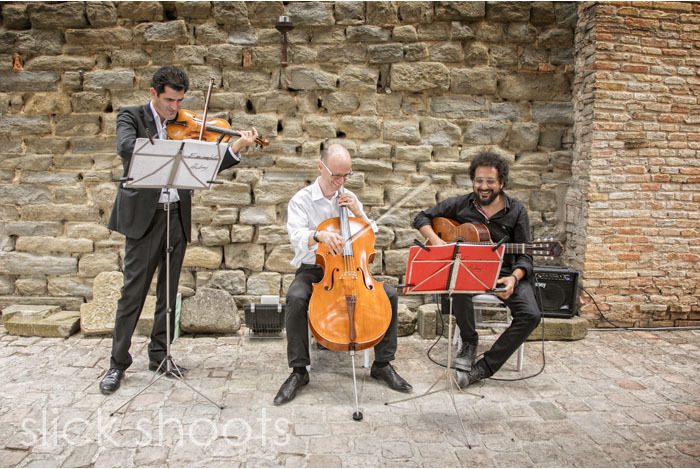 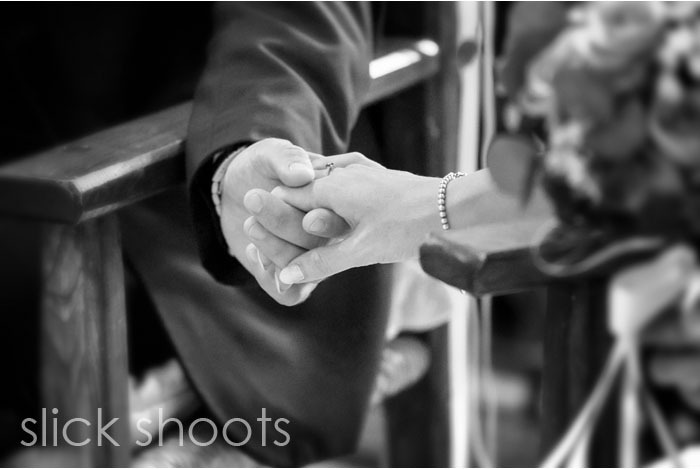 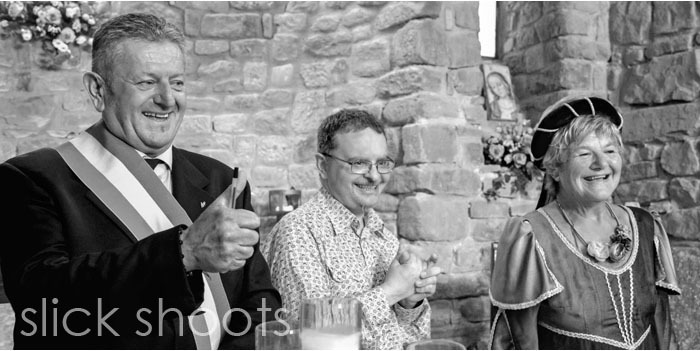 This wedding was something new for us at Slick Shoots as Steve was capturing the day on video whilst Kim did the stills. 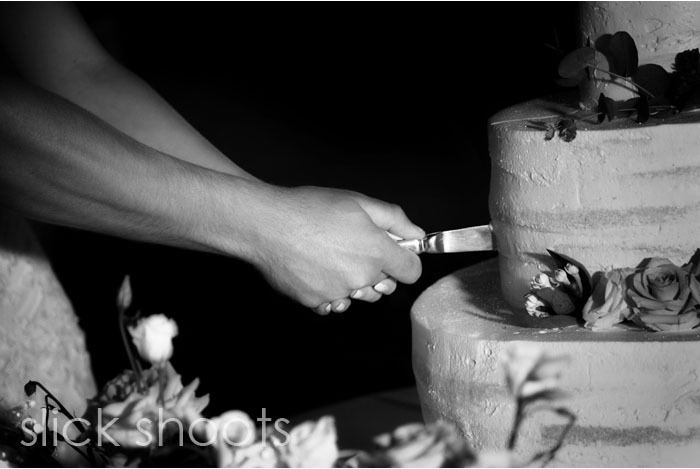 We have worked this way once before on a wedding for our sister company but this was going to be a much longer and complex day! 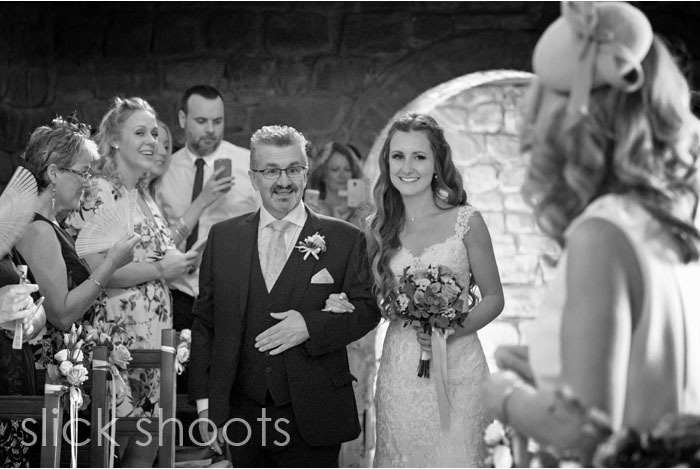 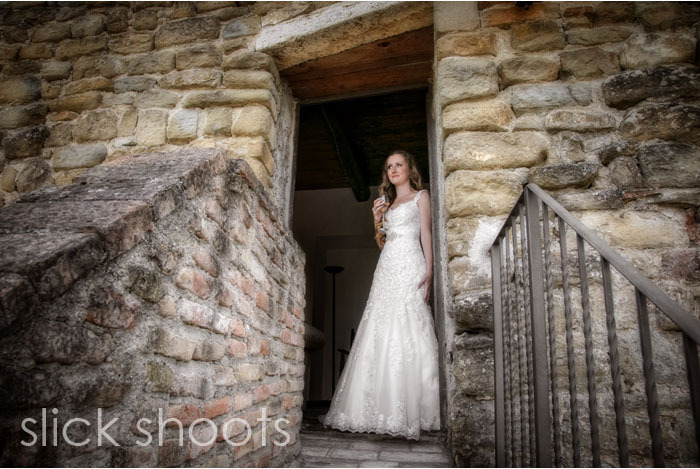 When Emily was ready she walked down the stairs to meet her Dad, she looked absolutely gorgeous! 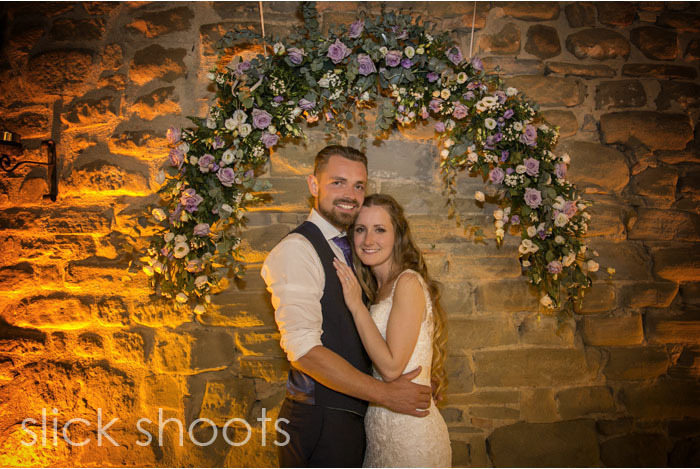 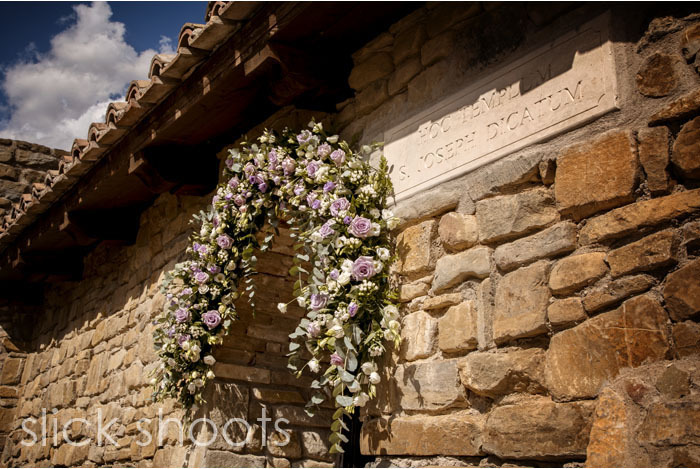 We made our way down to the old chapel which was beautifully decorated with an amazing display of flowers! 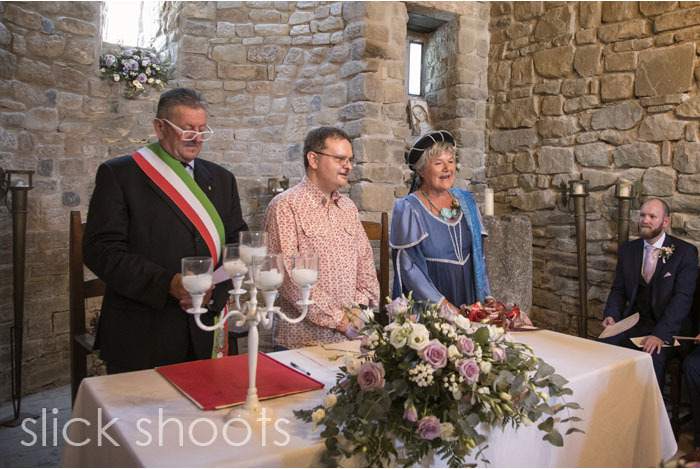 The ceremony was quite different and being a civil ceremony it was conducted by the local town Mayor. 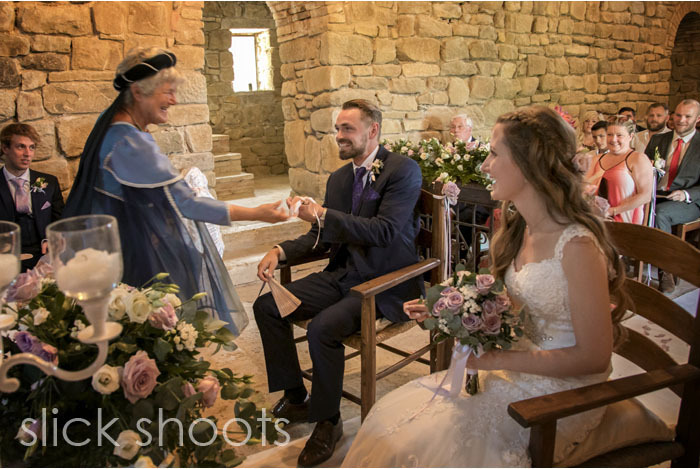 The Lady of the Castle gave an introduction and then she handed Emily and Alex a key to the castle! 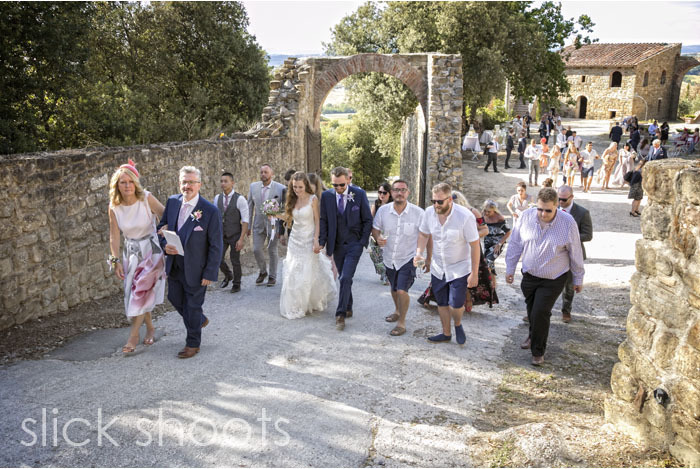 After the ceremony they walked out to petal throwing before enjoying some afternoon drinks and canapes. 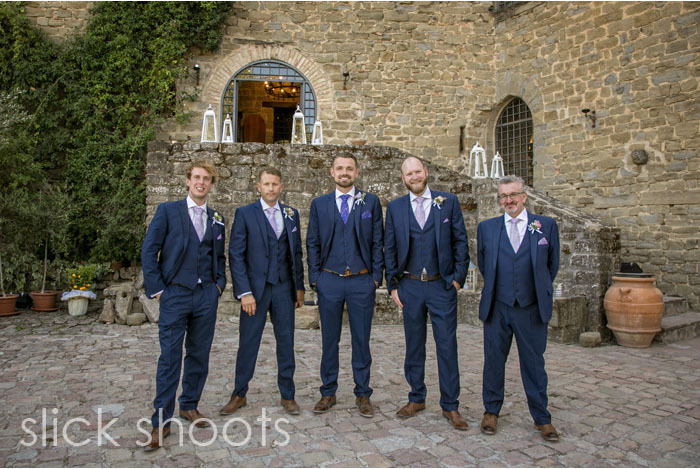 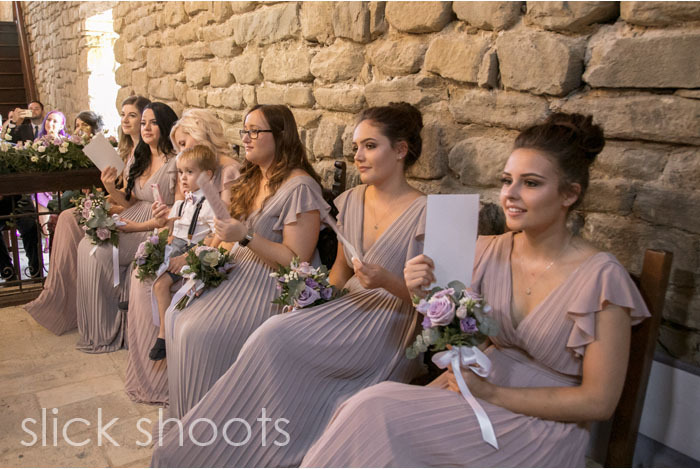 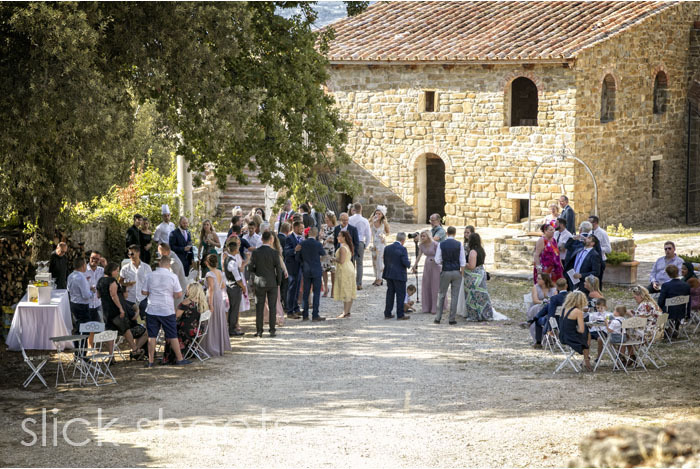 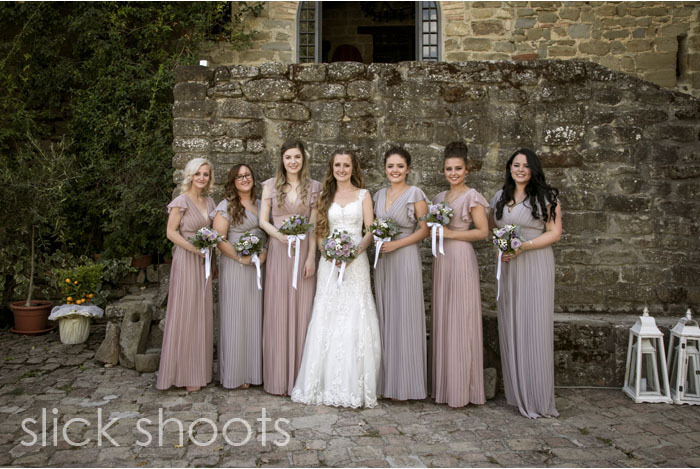 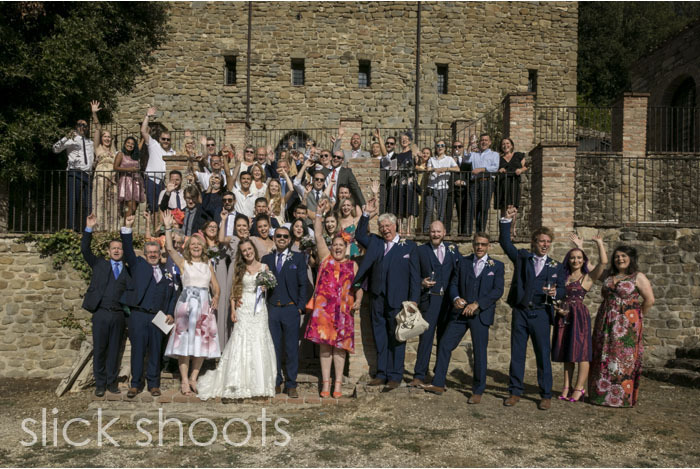 We gathered everyone for group shots before the guests enjoyed an anti-pasti buffet on the terrace whilst we and the bridal party headed off for photos around the castle grounds. 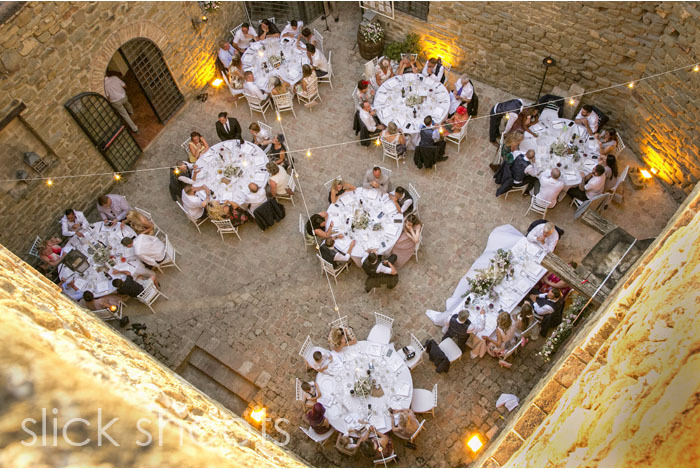 Soon it was time for dinner in the courtyard followed by speeches. 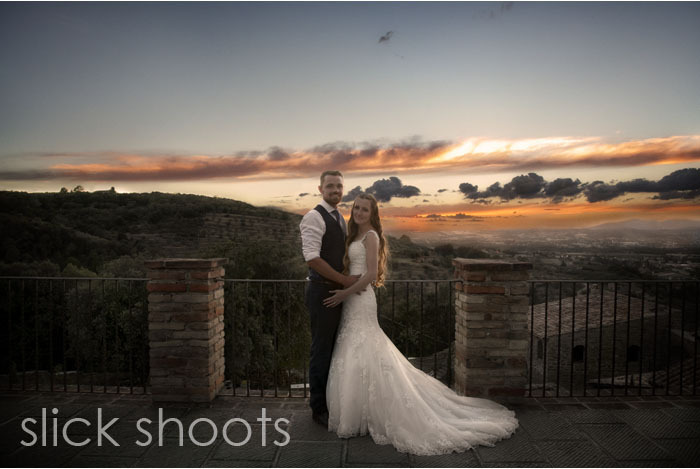 During a break the four of us headed over to the west terrace for sunset shots, the views around the castle are just so stunning you really want to make the most of them! 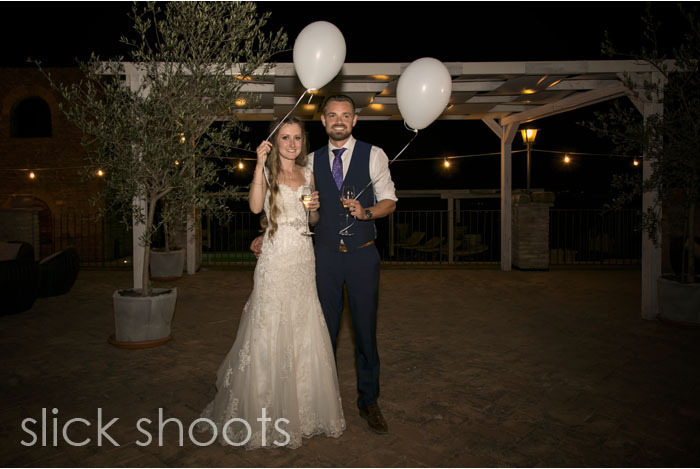 After dinner we headed back to the lawns for the cake cutting followed by a surprise for Emily and Alex of a balloon send off! 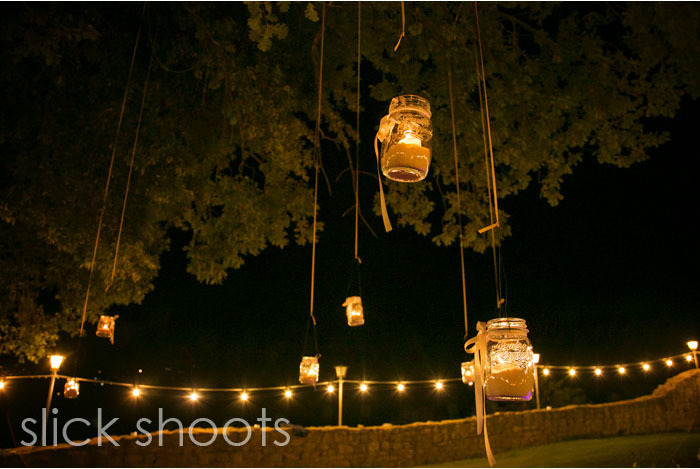 Take one, make a wish and send it away….. 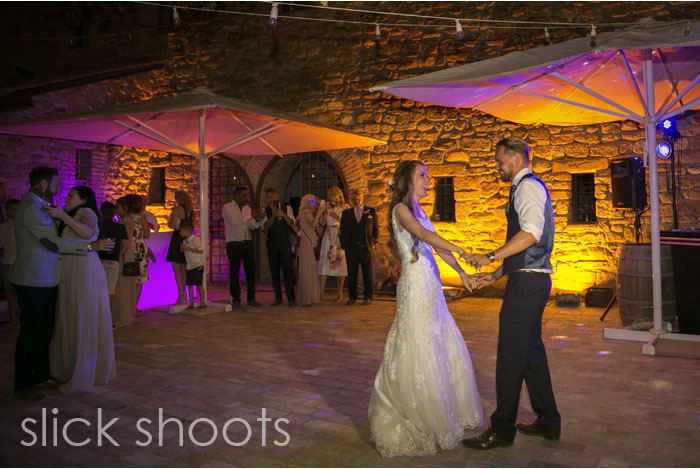 It was time for Emily and Alex’s bridal dance and amazingly the guests had some energy left for a couple of hours on the dance floor and cocktails! 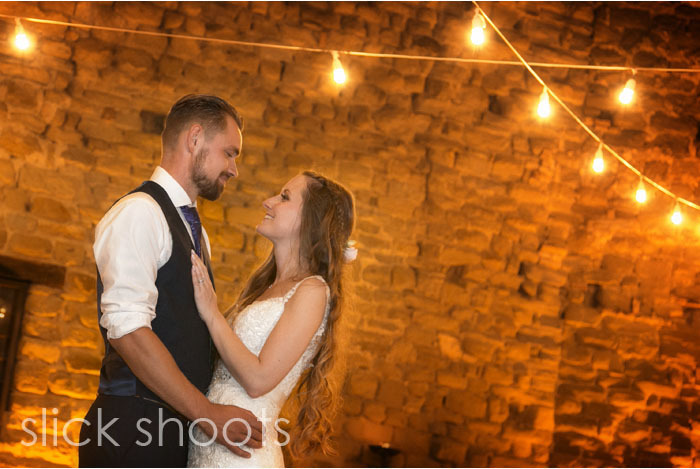 We managed to put our cameras down around midnight and had a dance for an hour or so before heading up to our room to do the all important downloading and back-up! 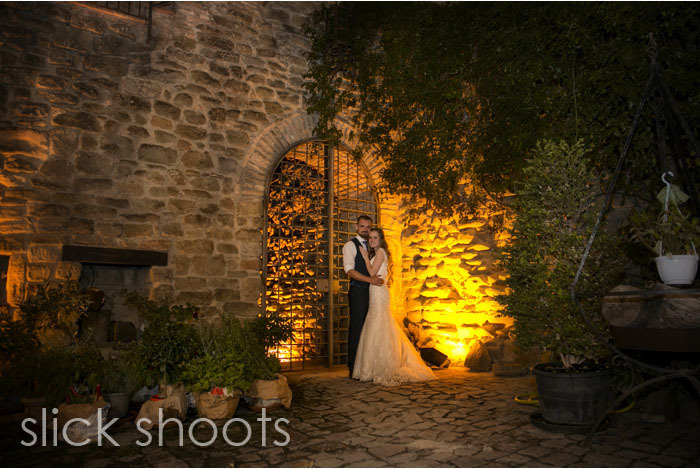 We eventually got to sleep about 3.30 only to be woken at 5.30 by the biggest thunderstorm we’ve ever heard! 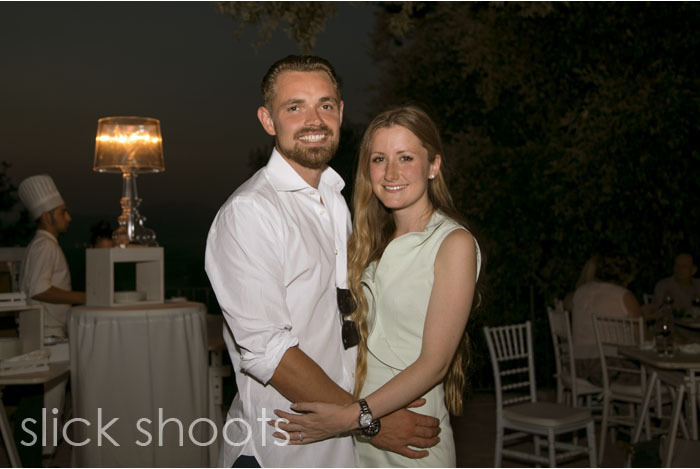 Needless to say we didn’t do much the next day, just a date with the hotel pool! 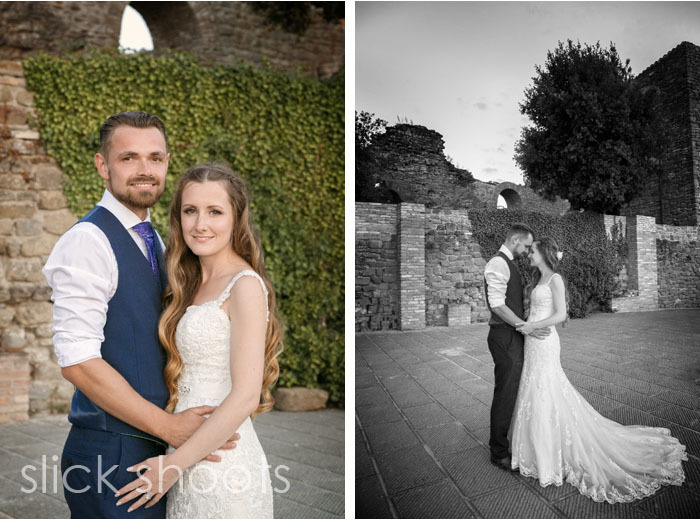 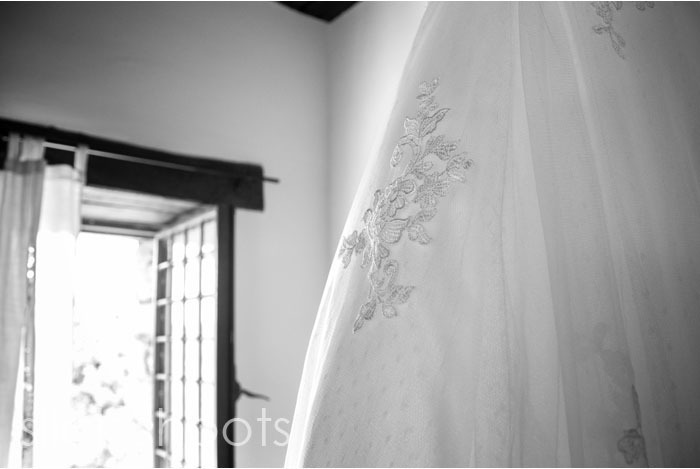 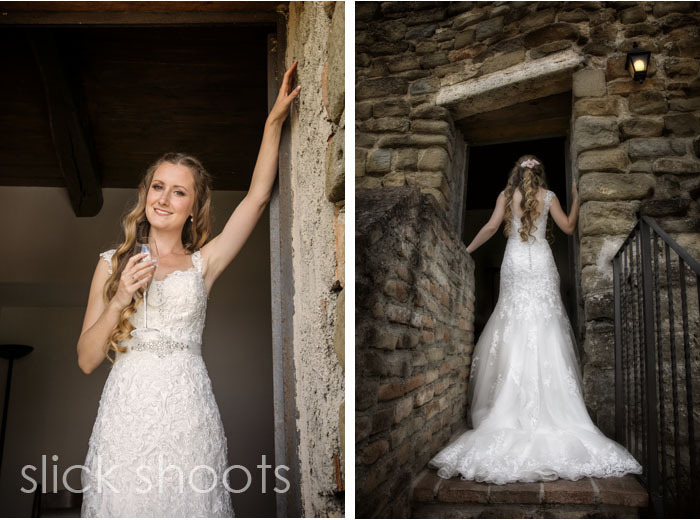 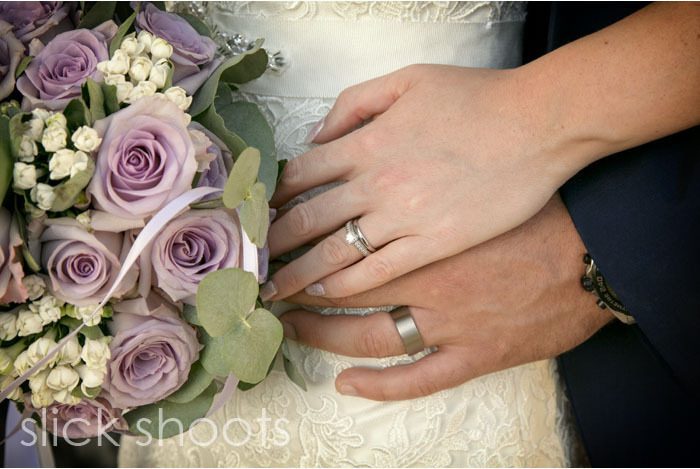 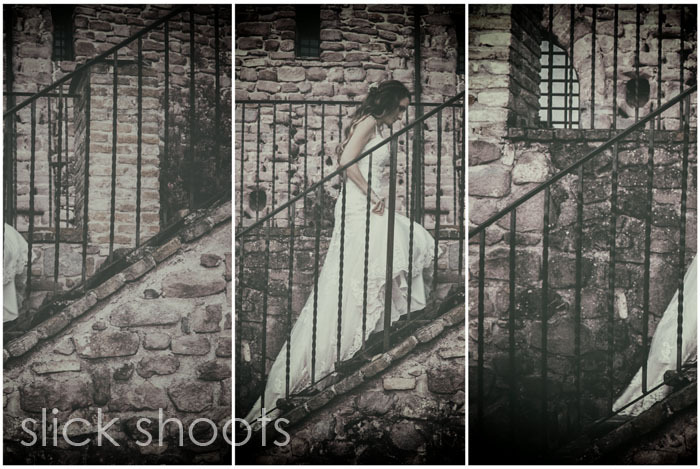 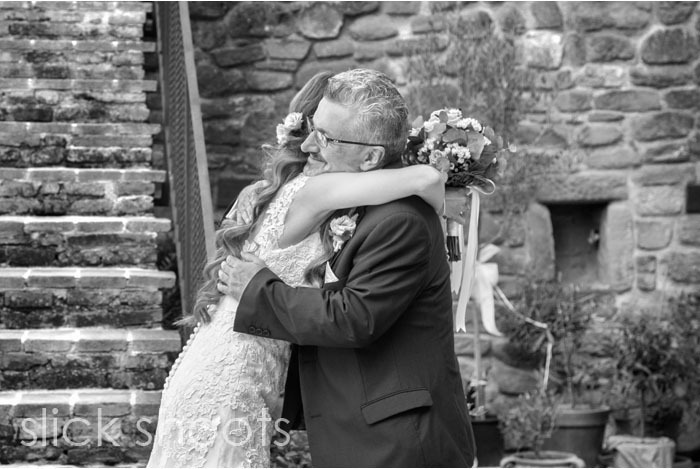 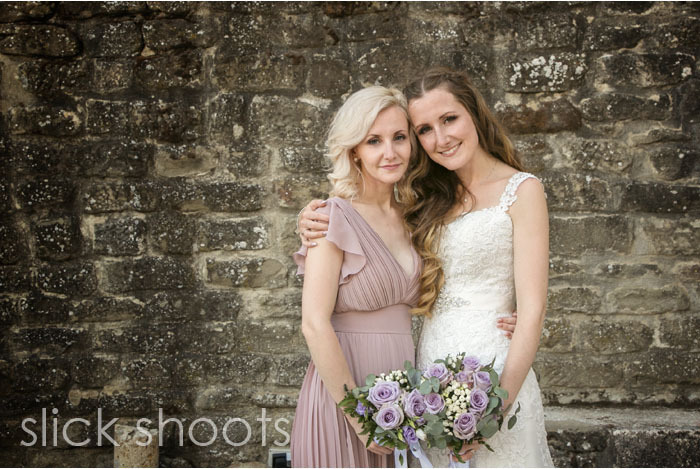 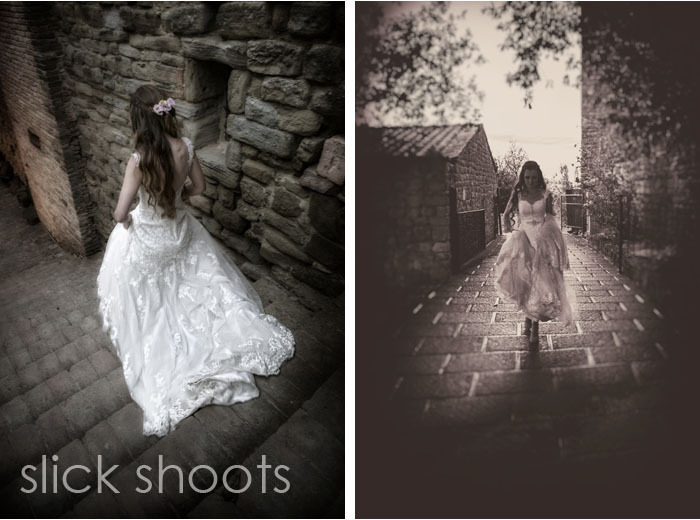 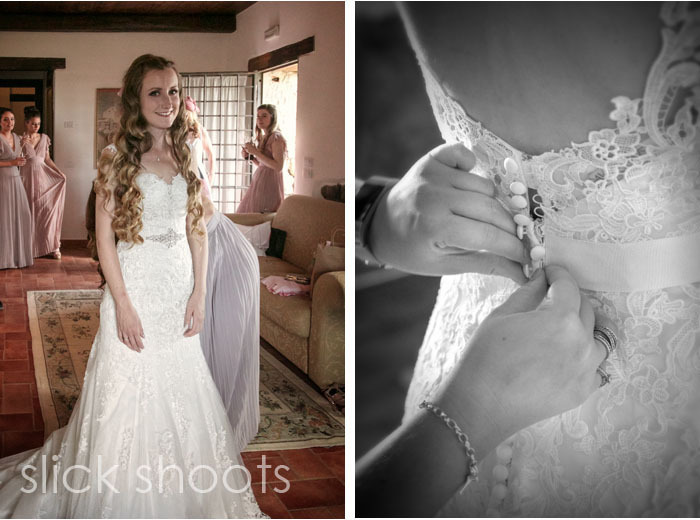 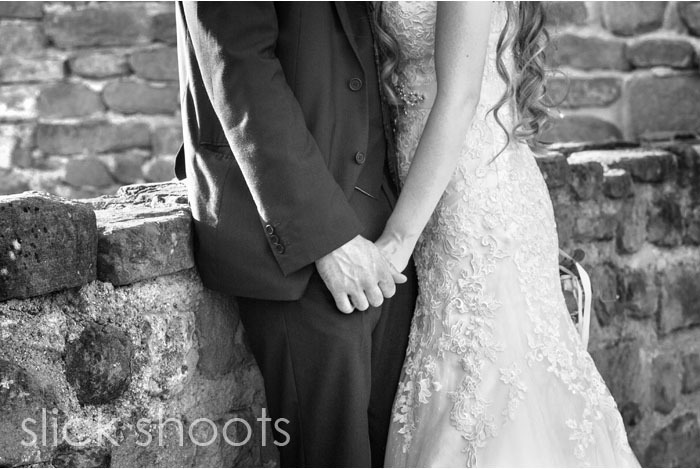 Here is a selection of images from their amazing day and the next post will be the video! 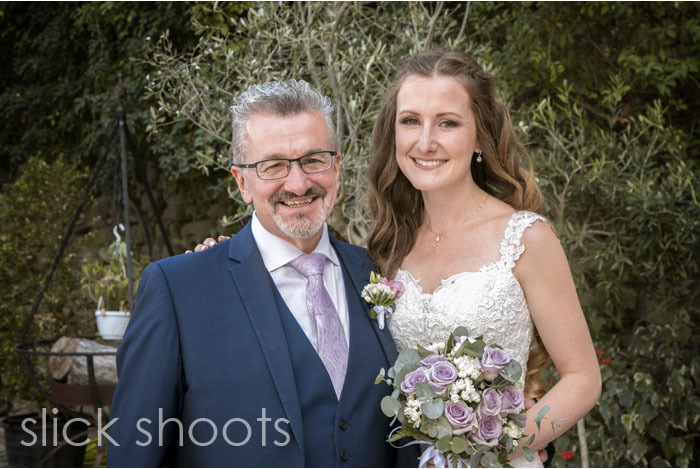 Congratulations to Emily and Alex and thanks to them and Nigel and Julie, Emily’s parents for creating such a very special day and time for everyone! 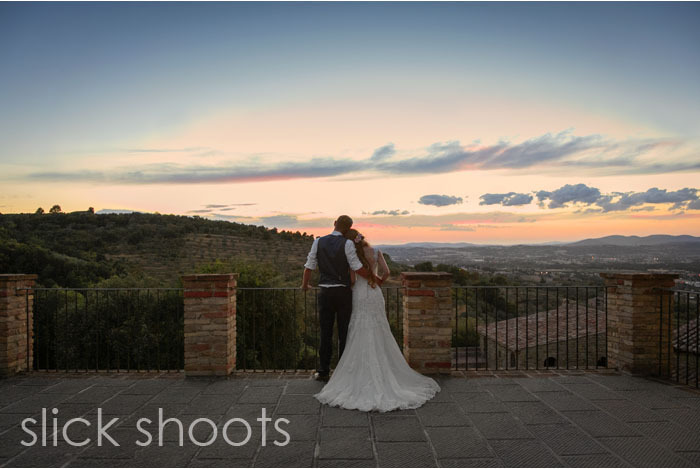 Welcome to our blog, which we re-launched in 2015. 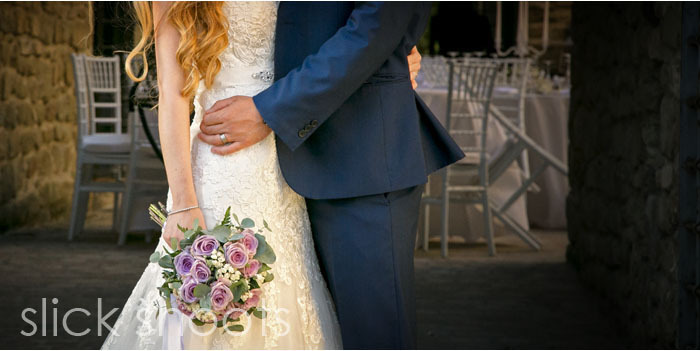 It's now built in to this updated website but you can still see our posts from the previous 5 years by clicking HERE! 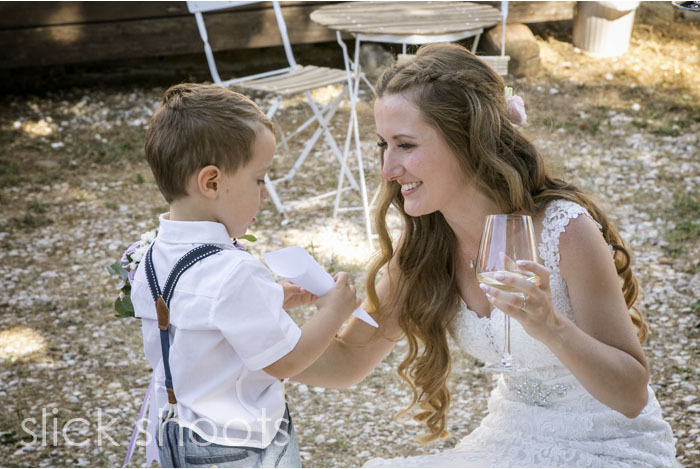 help to share the love! 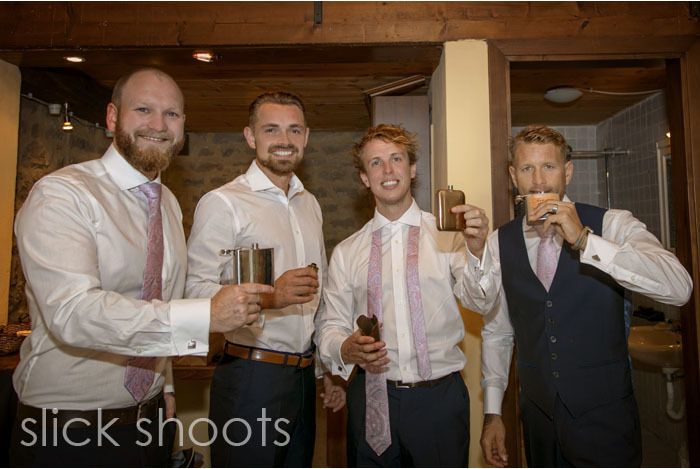 Let your friends know that you found us!